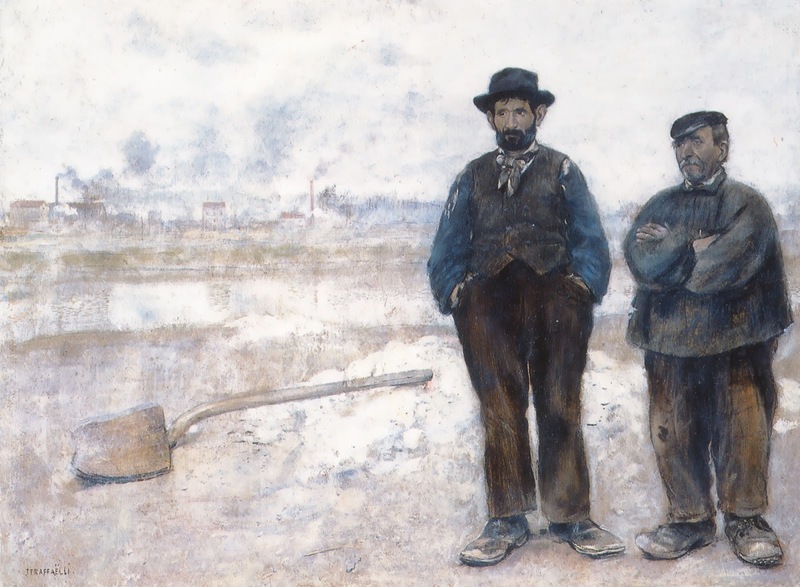 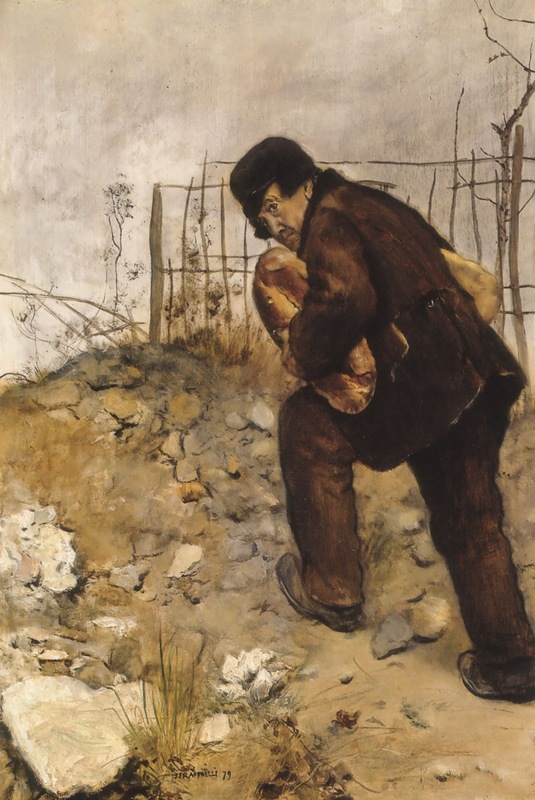 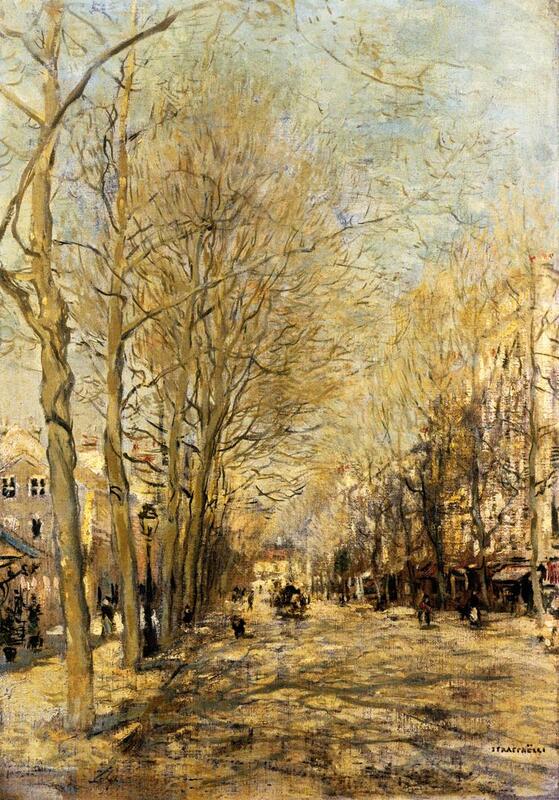 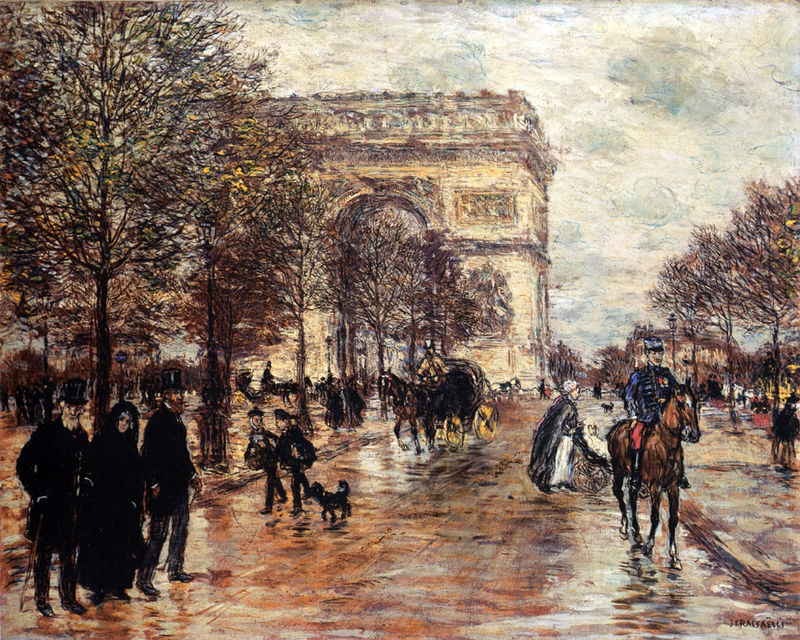 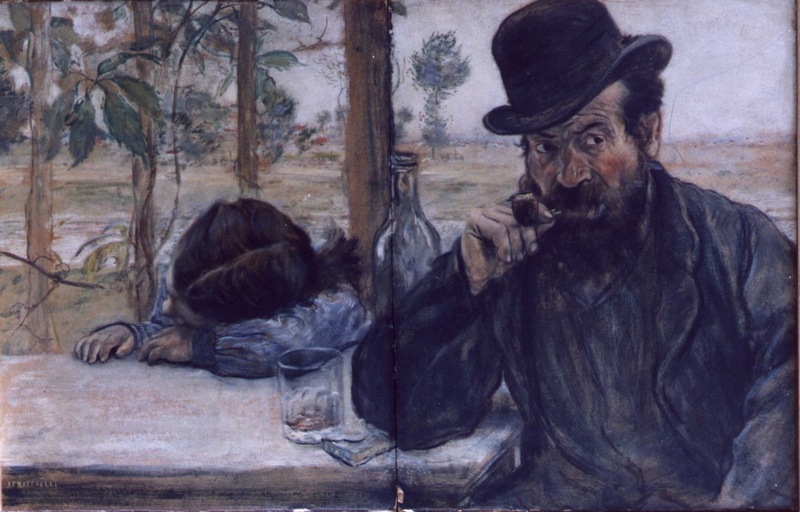 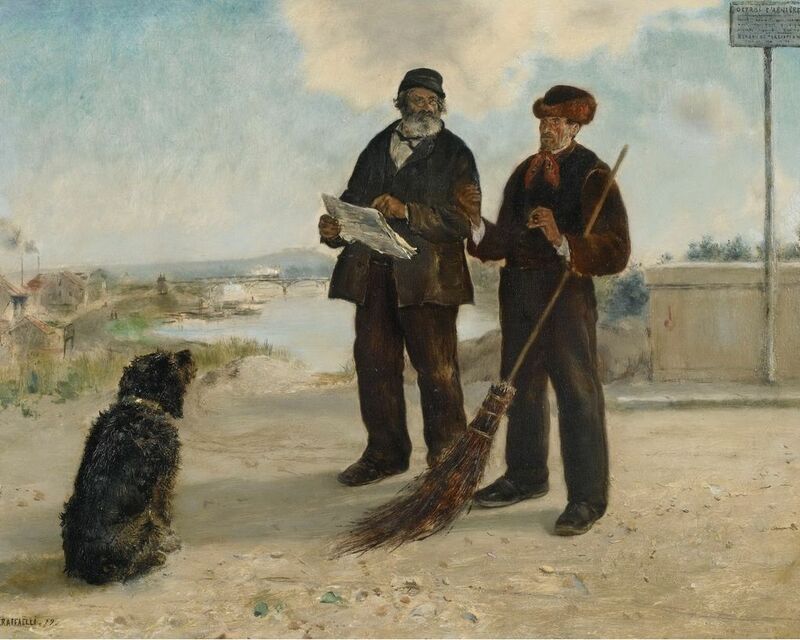 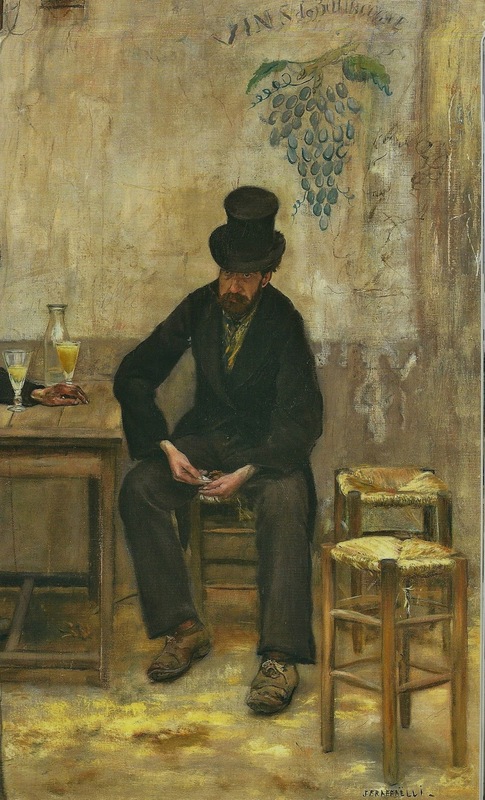 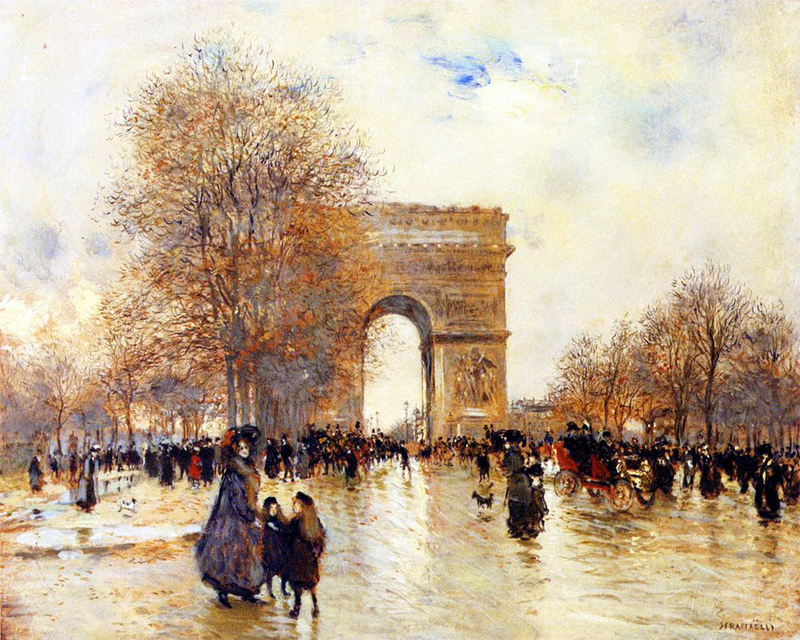 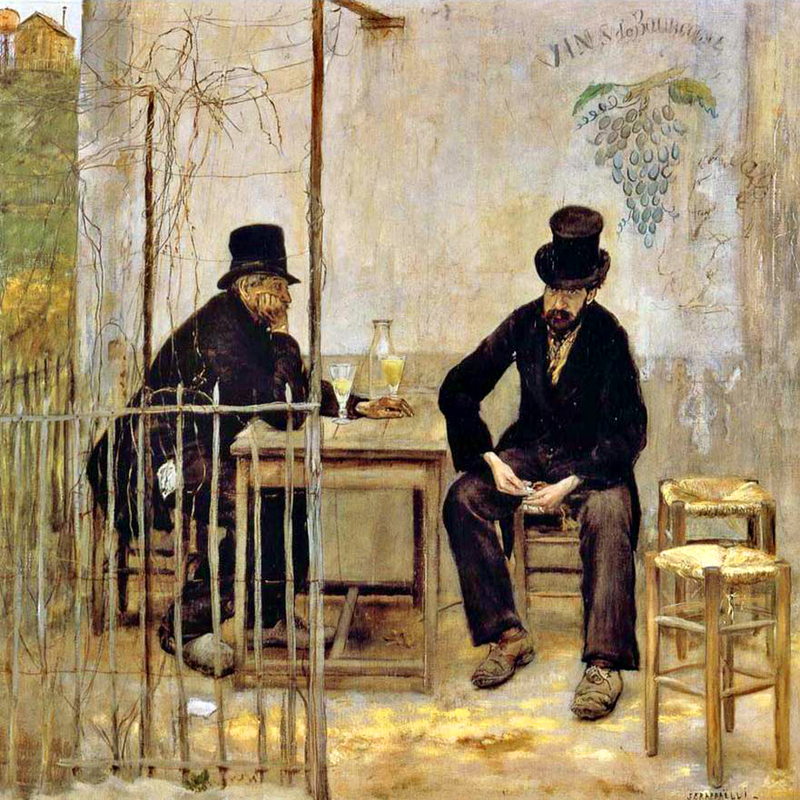 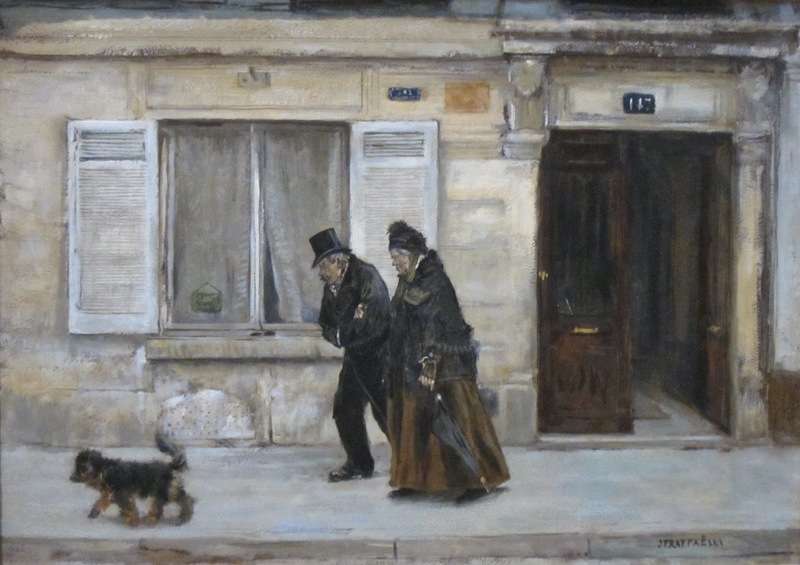 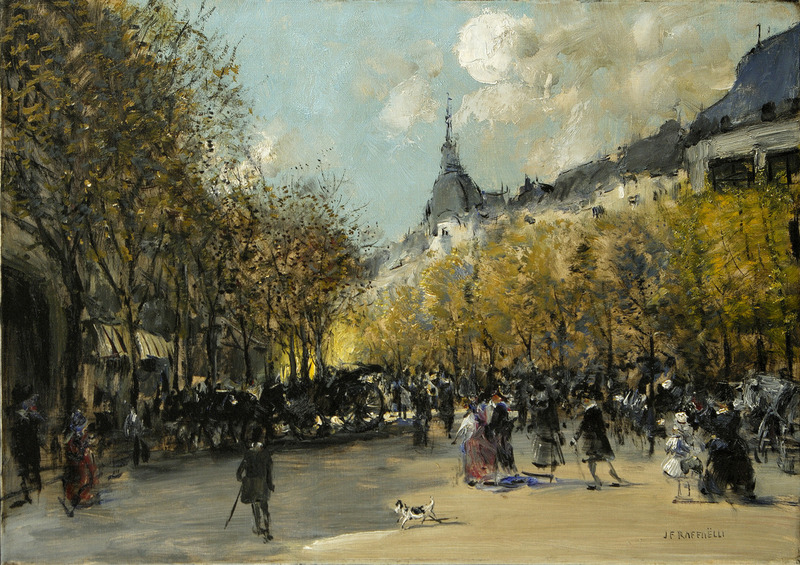 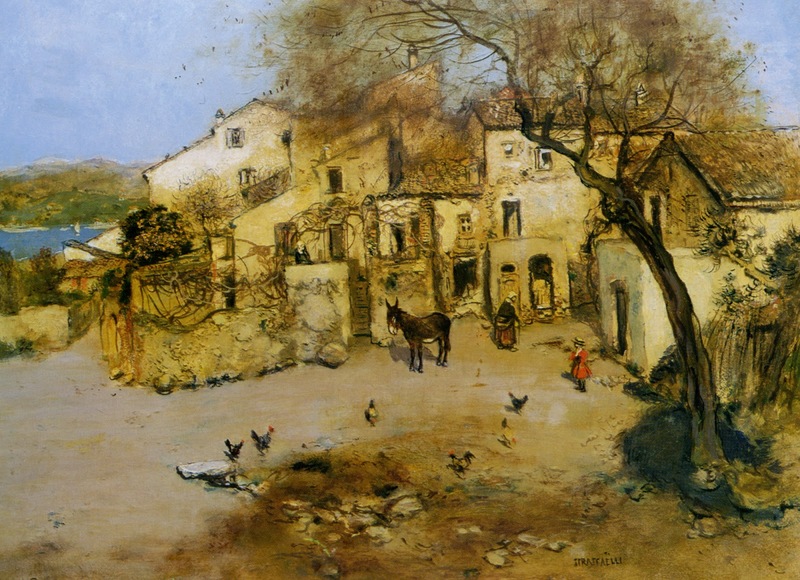 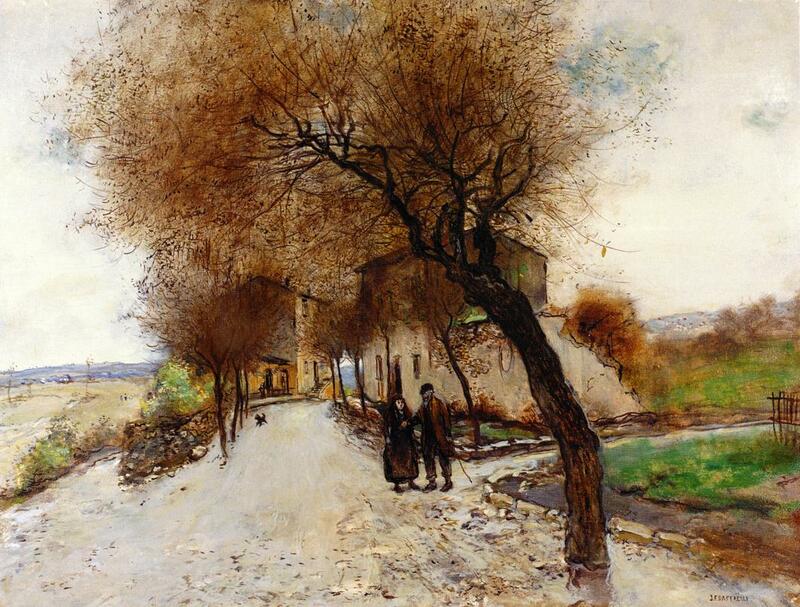 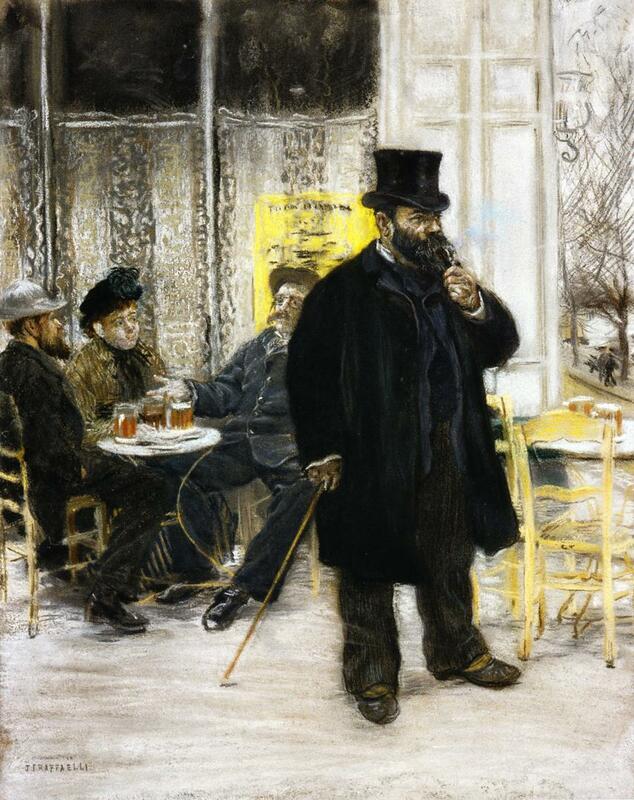 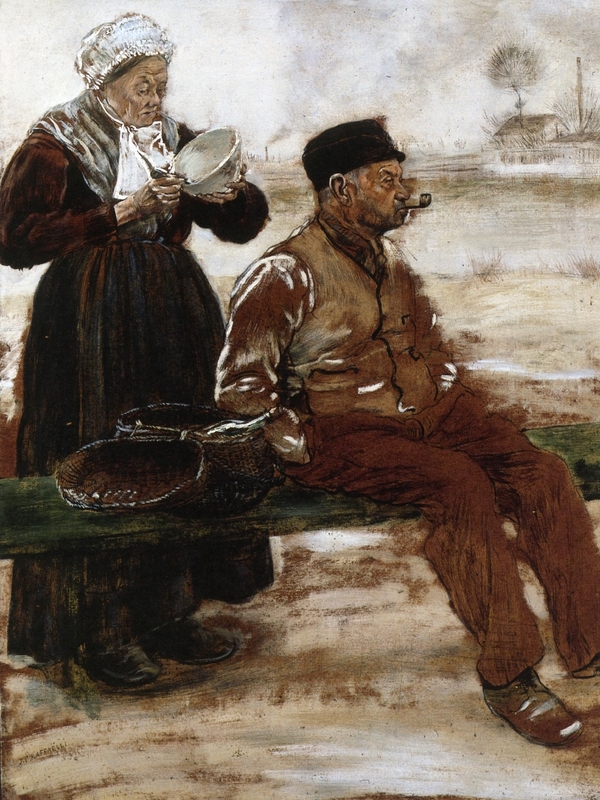 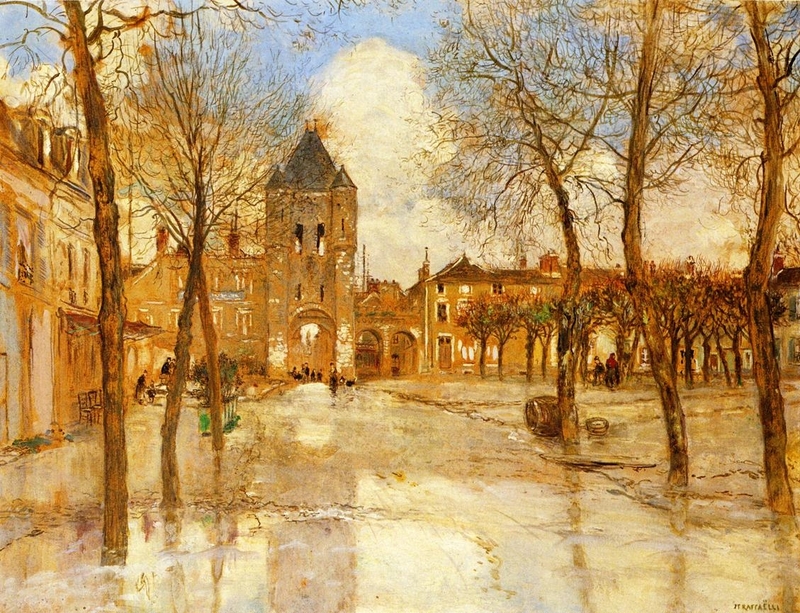 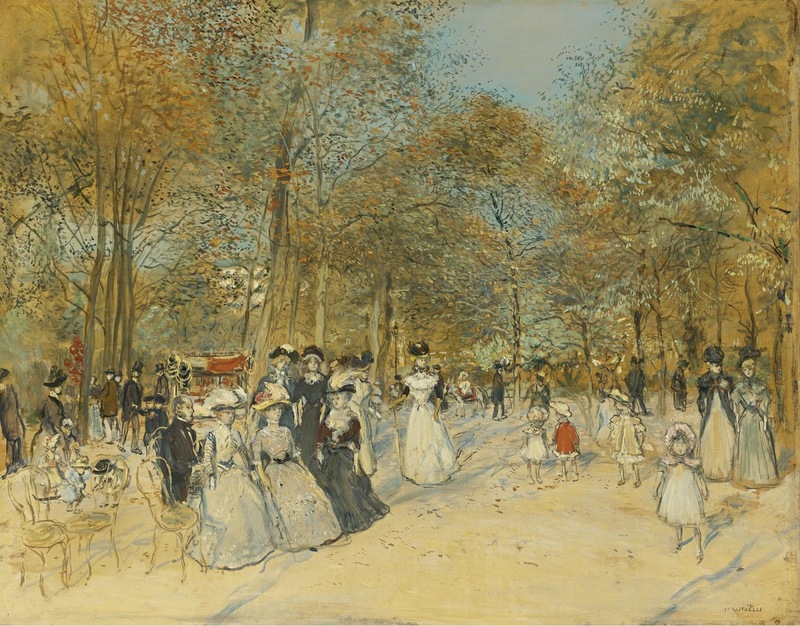 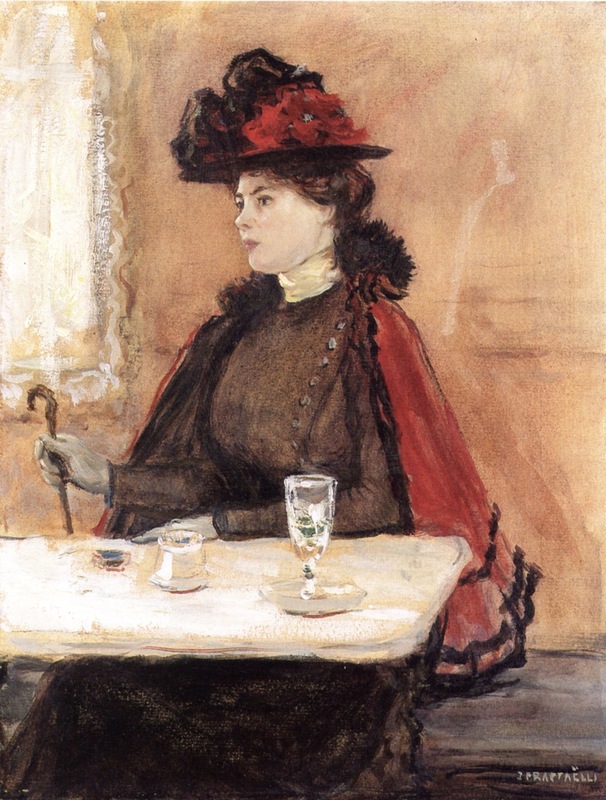 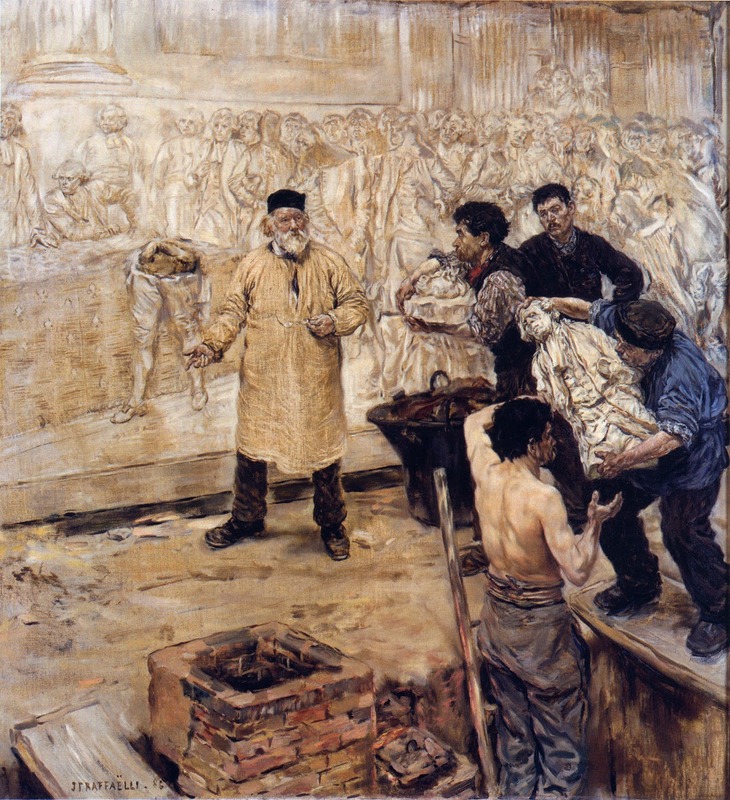 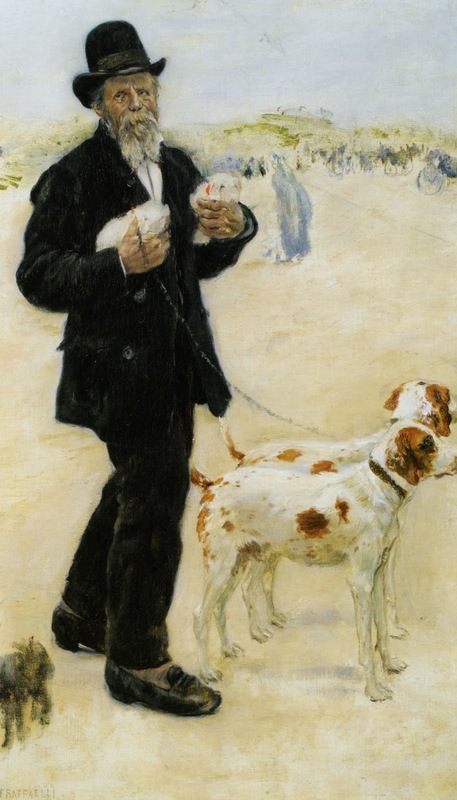 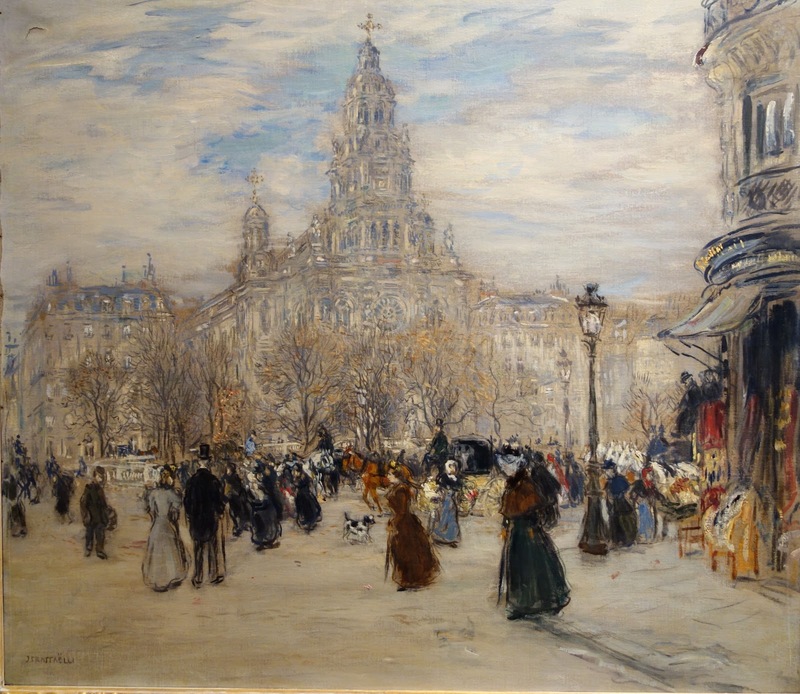 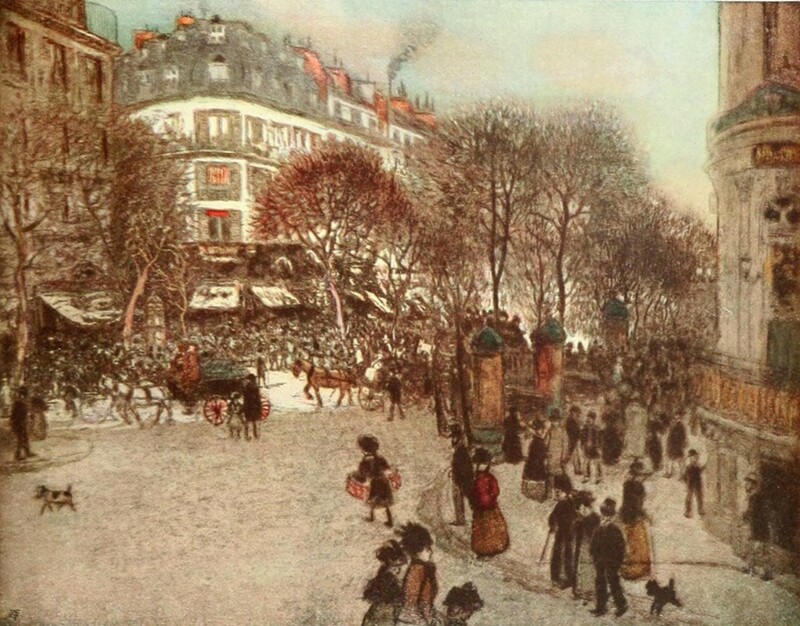 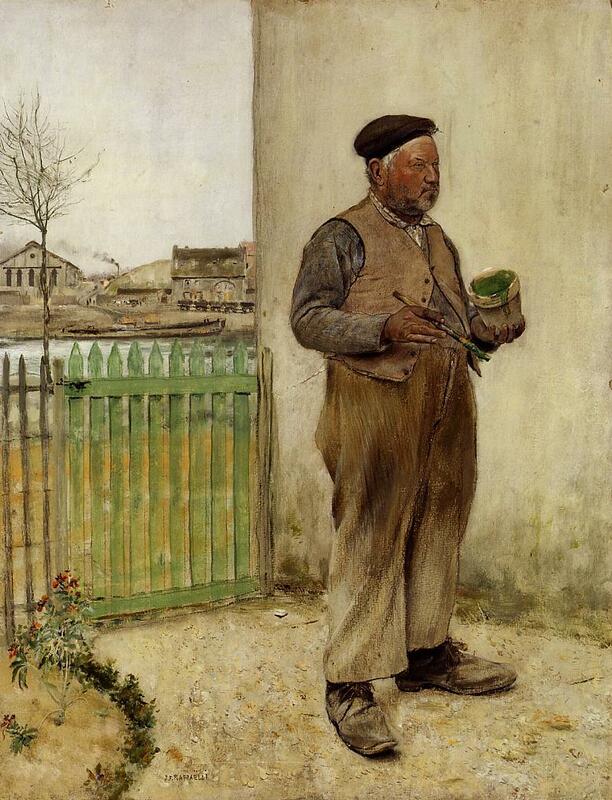 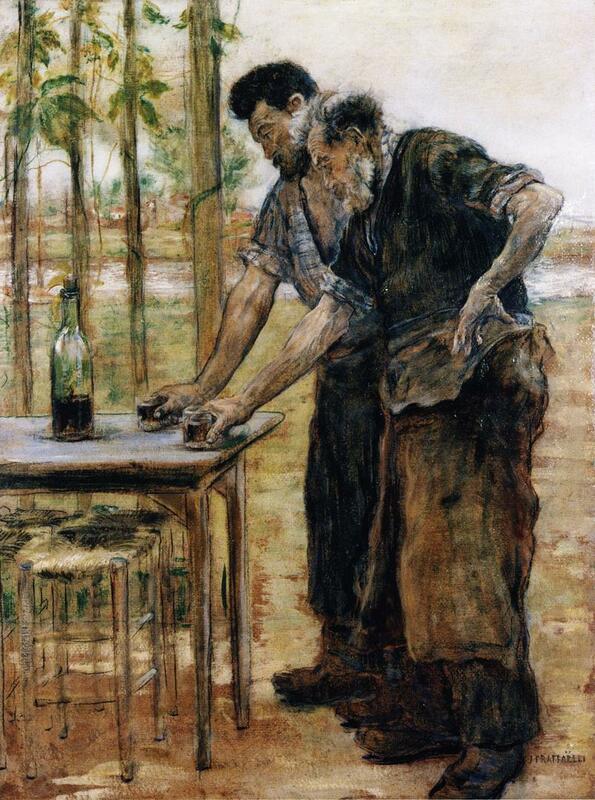 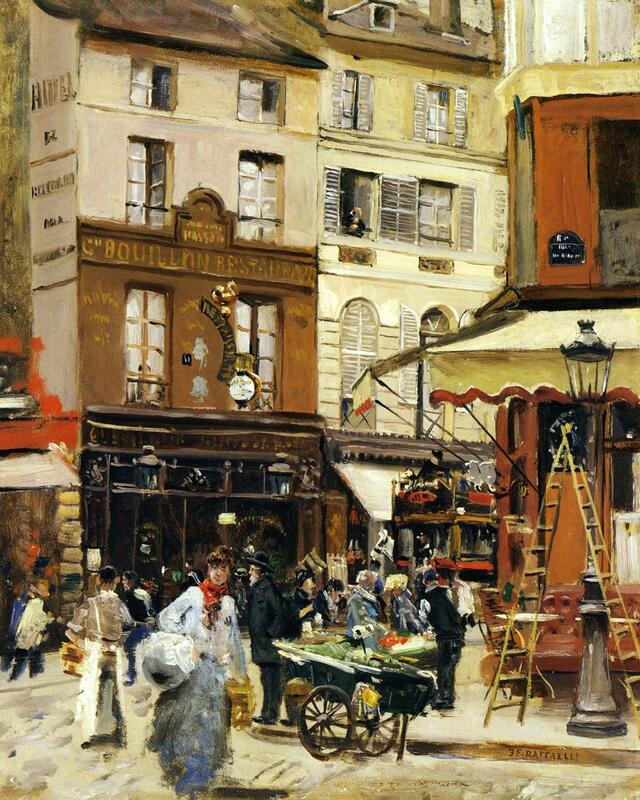 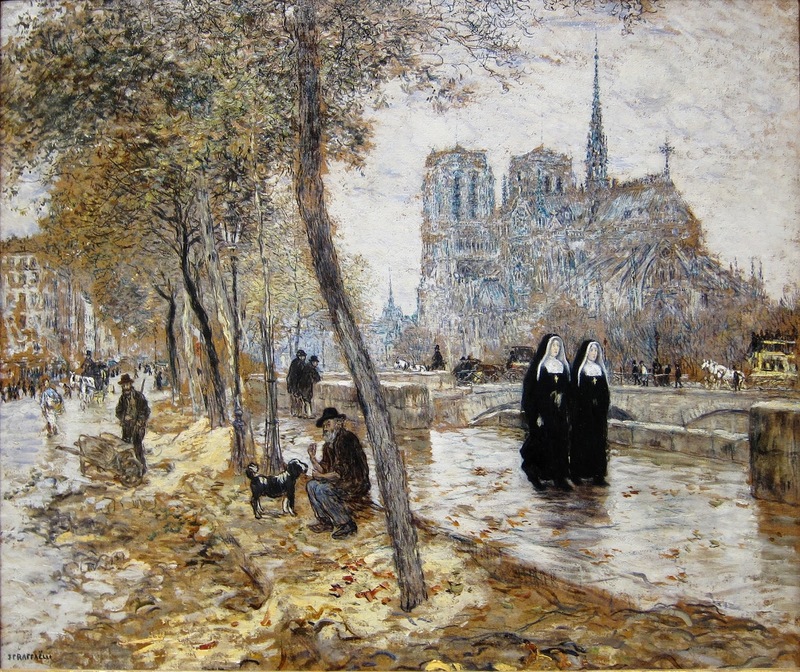 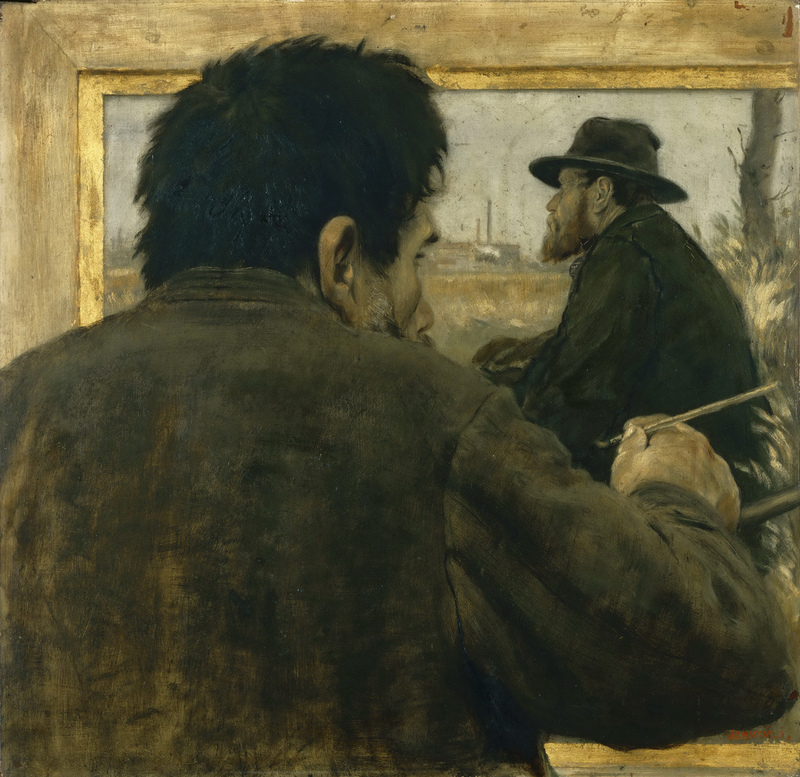 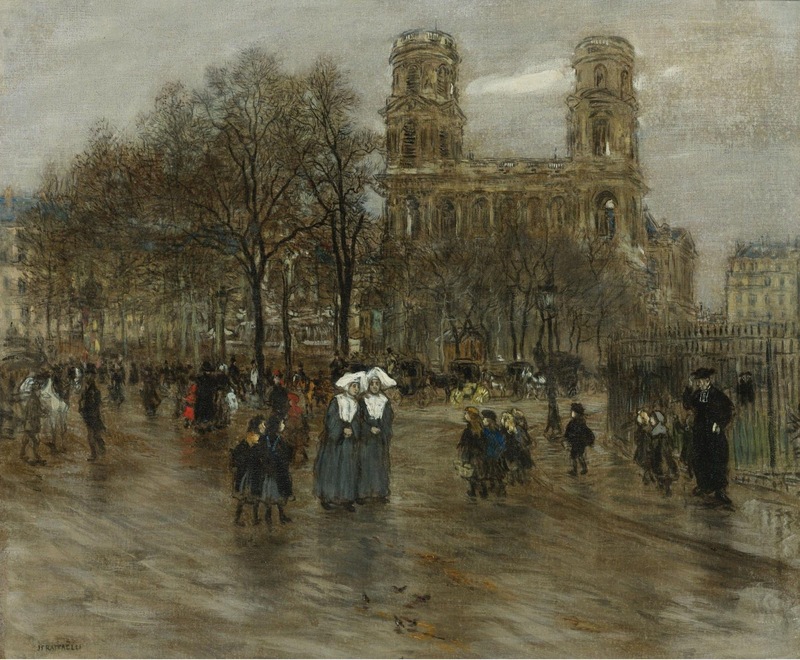 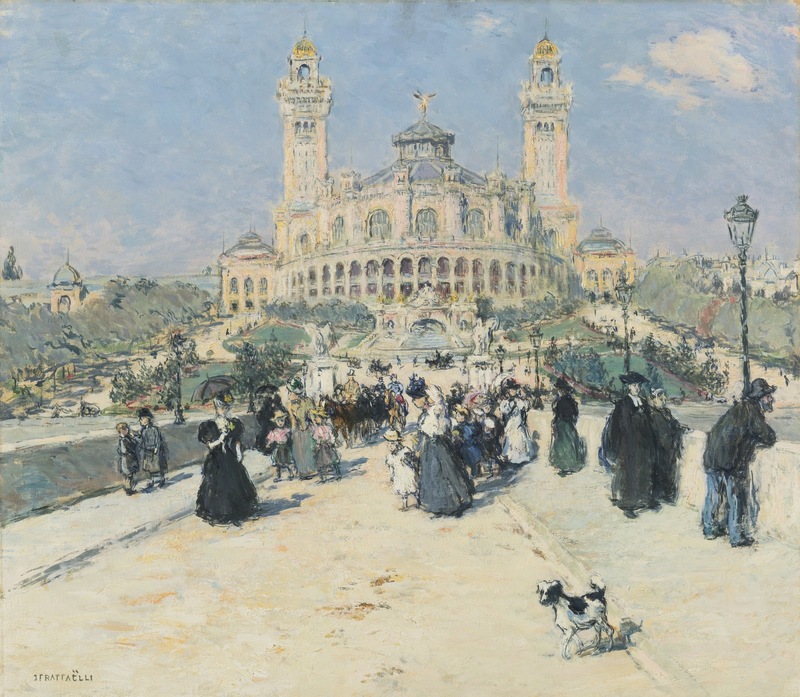 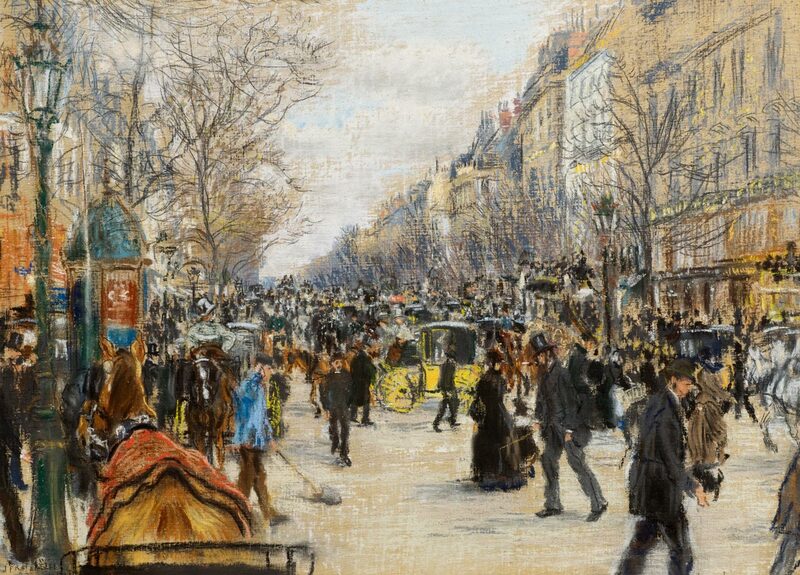 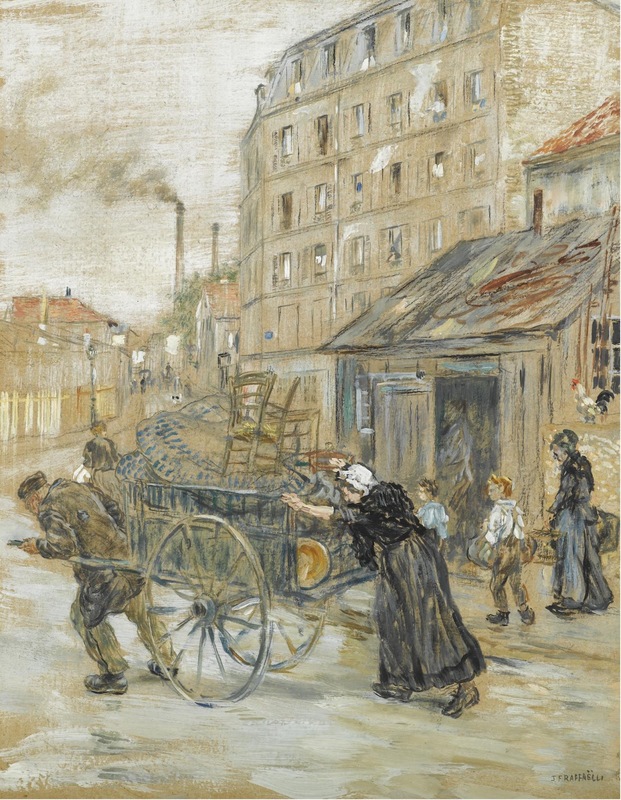 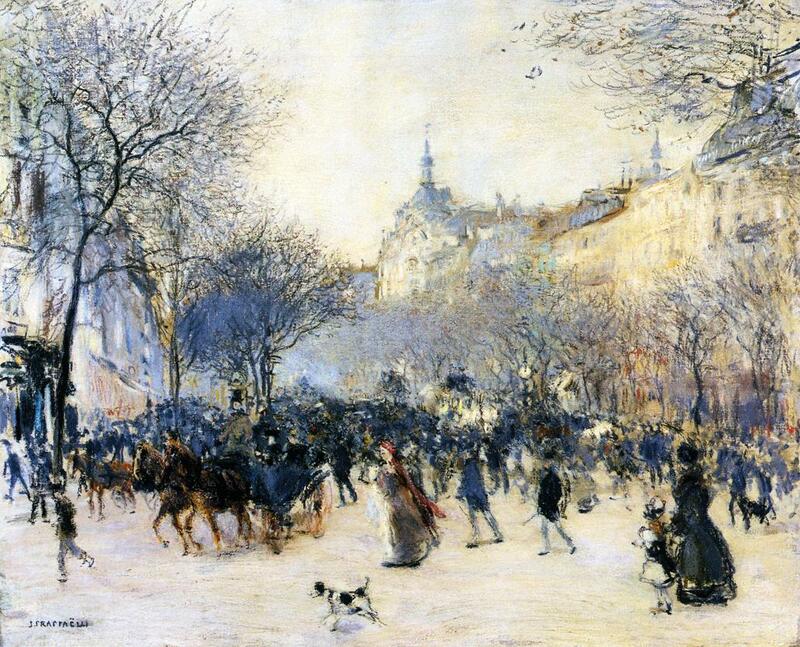 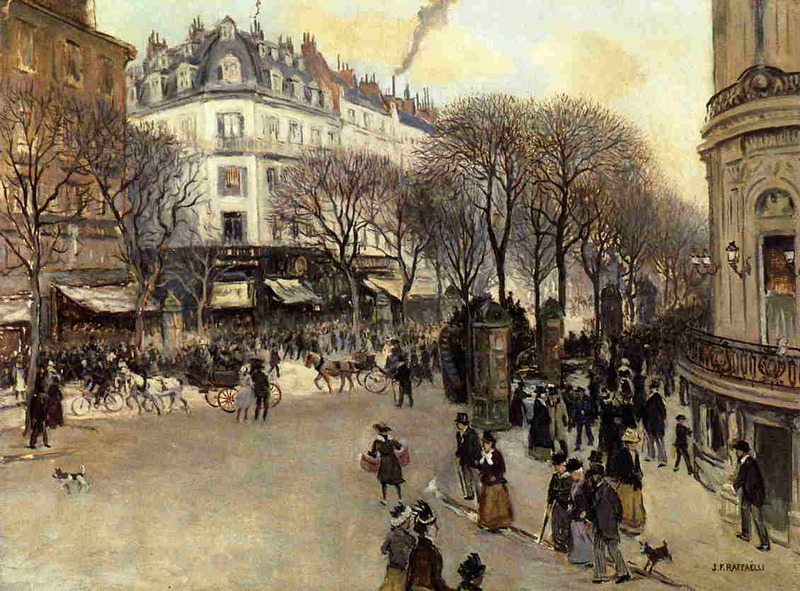 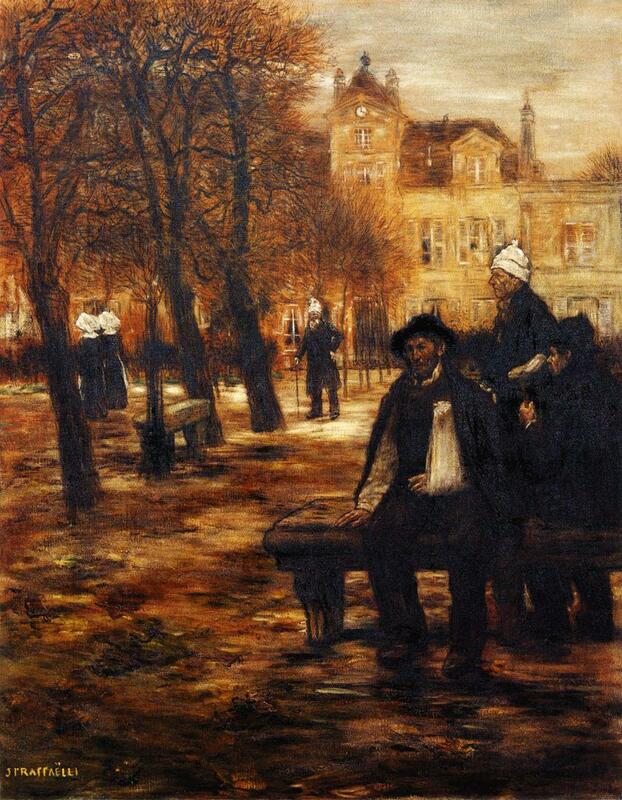 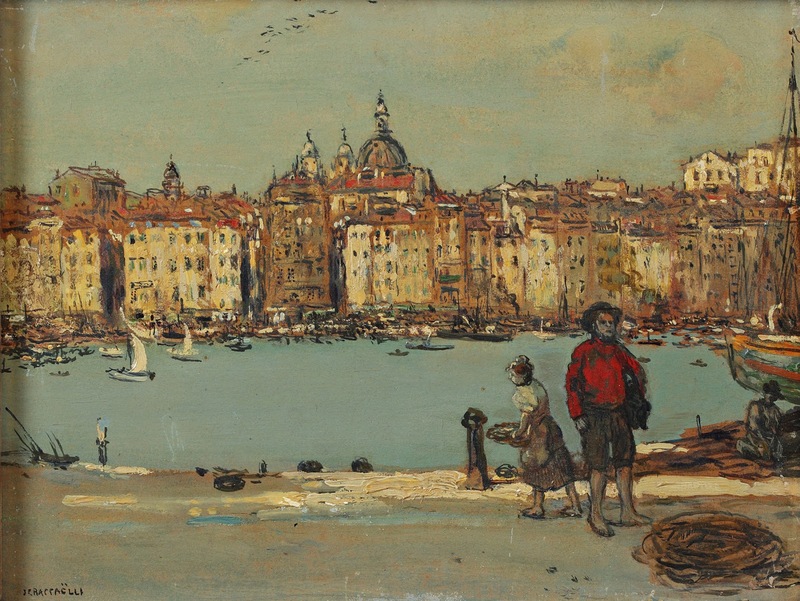 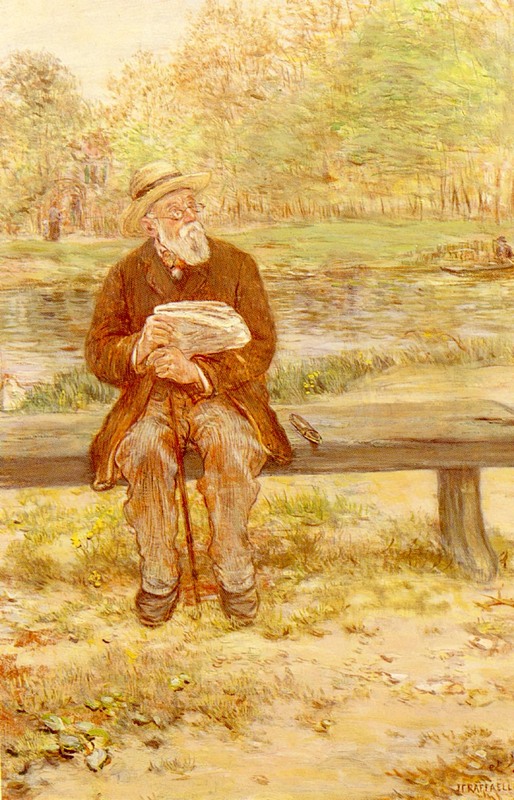 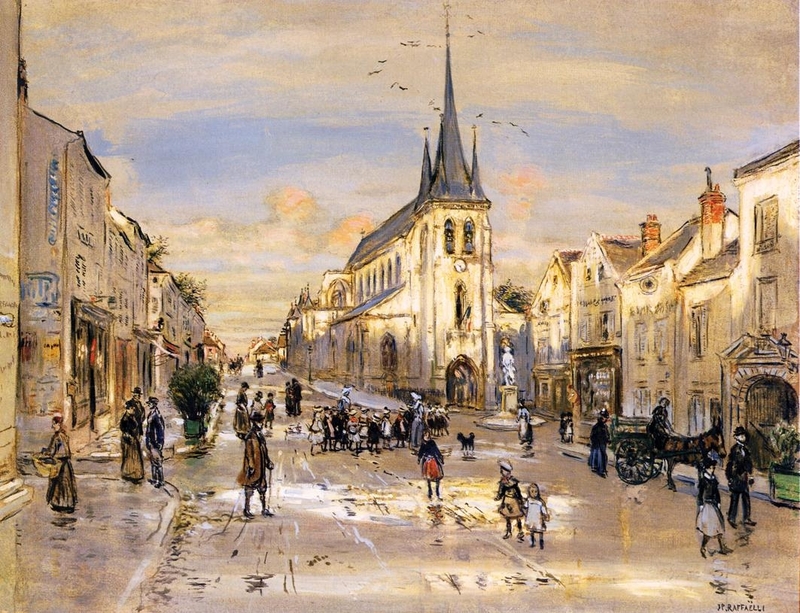 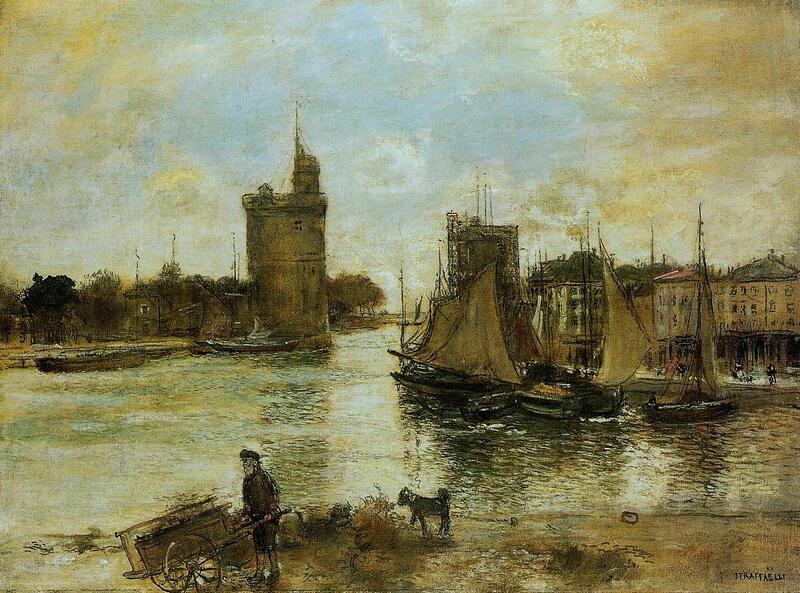 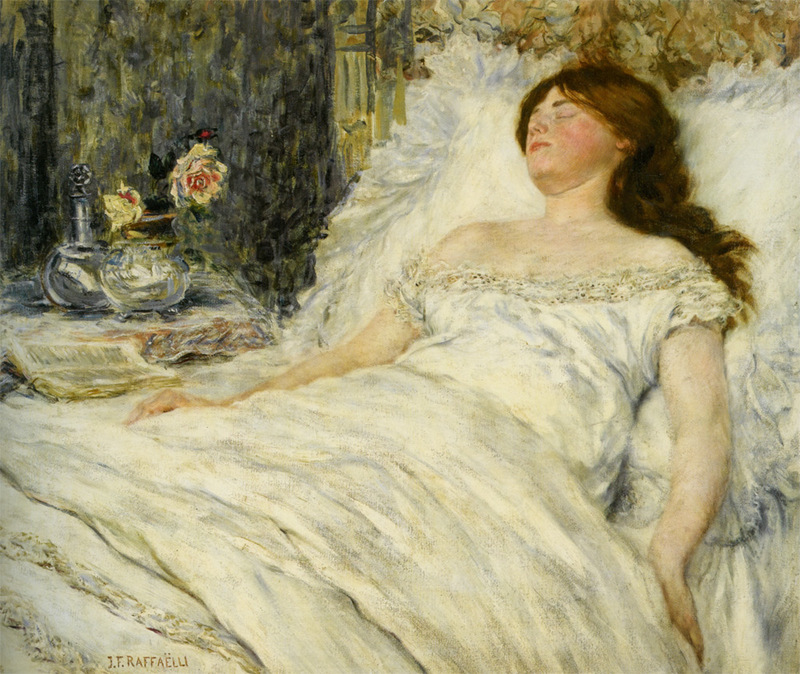 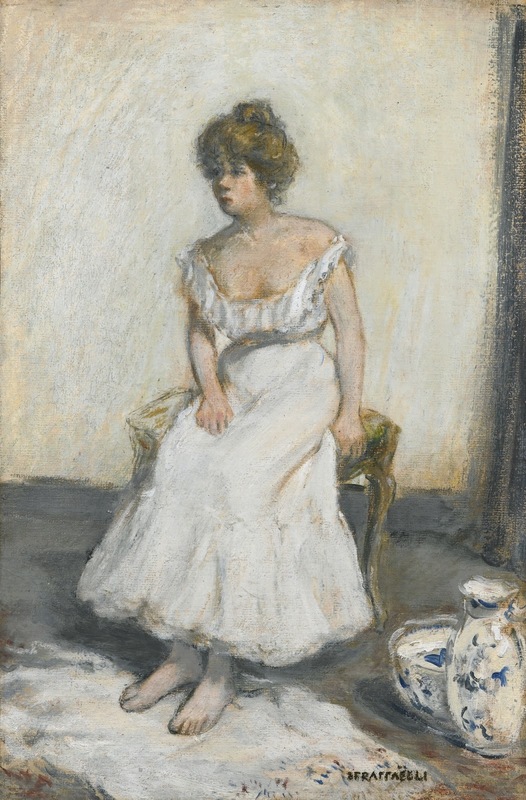 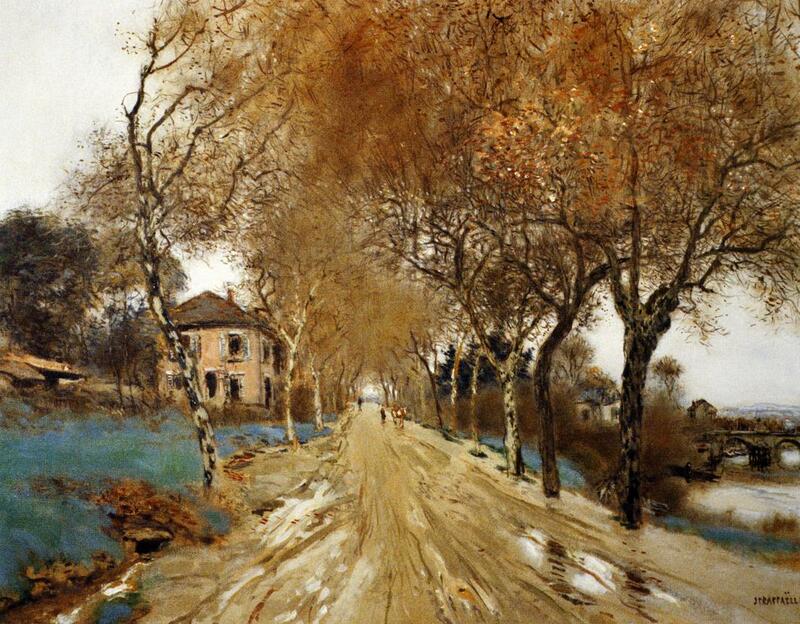 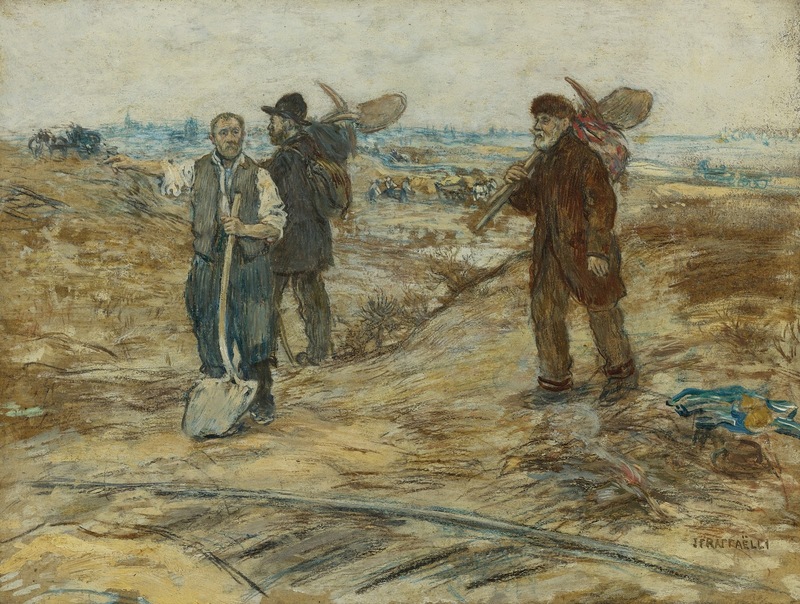 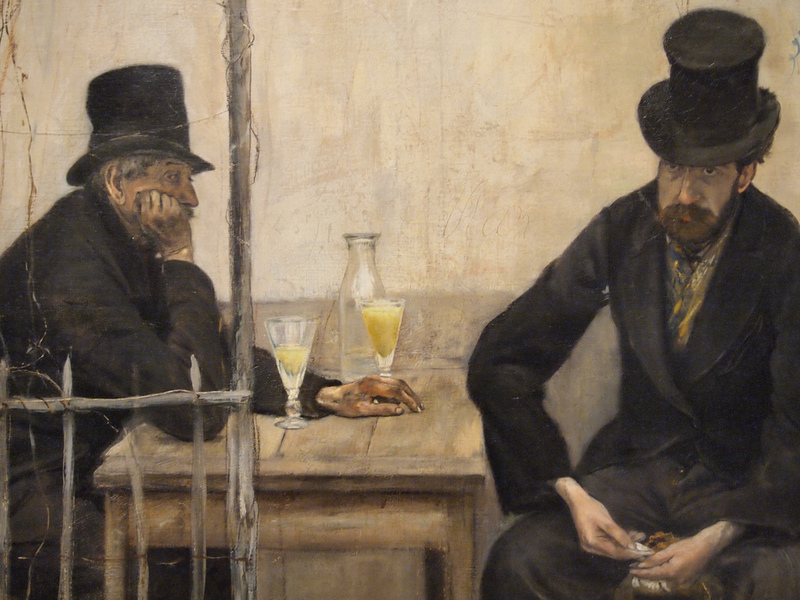 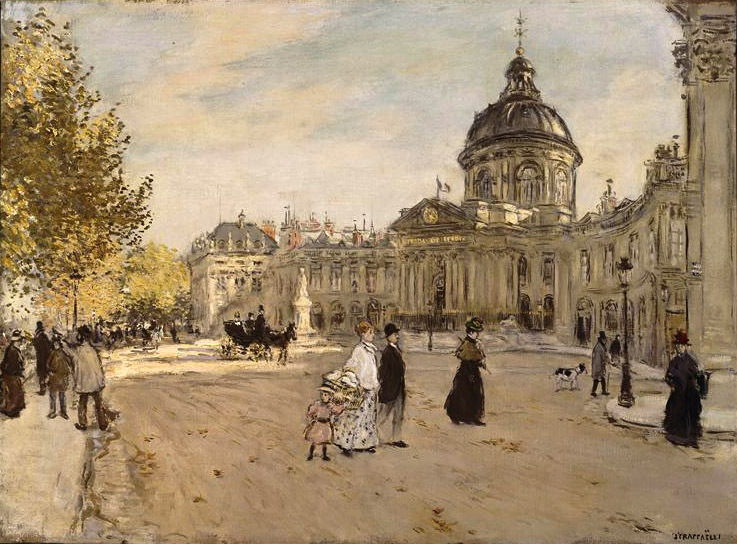 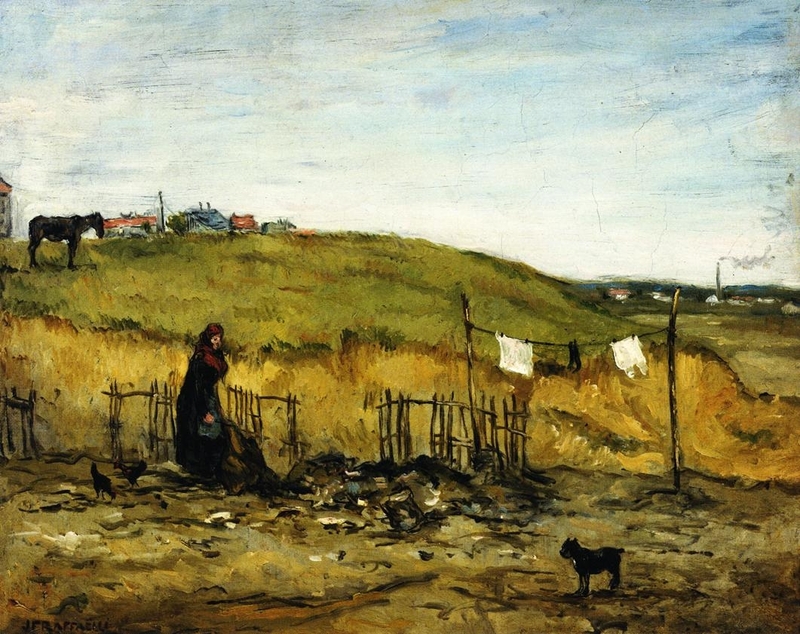 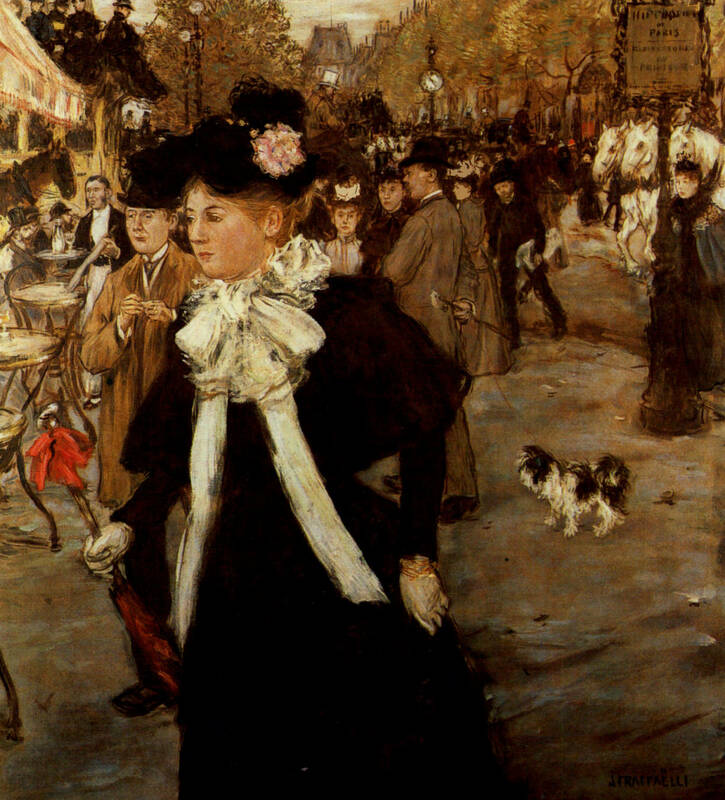 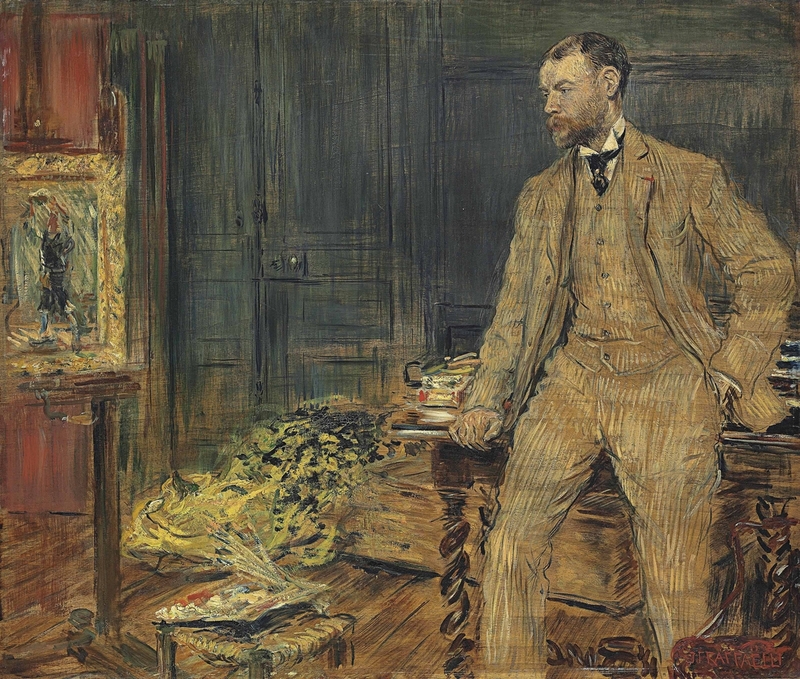 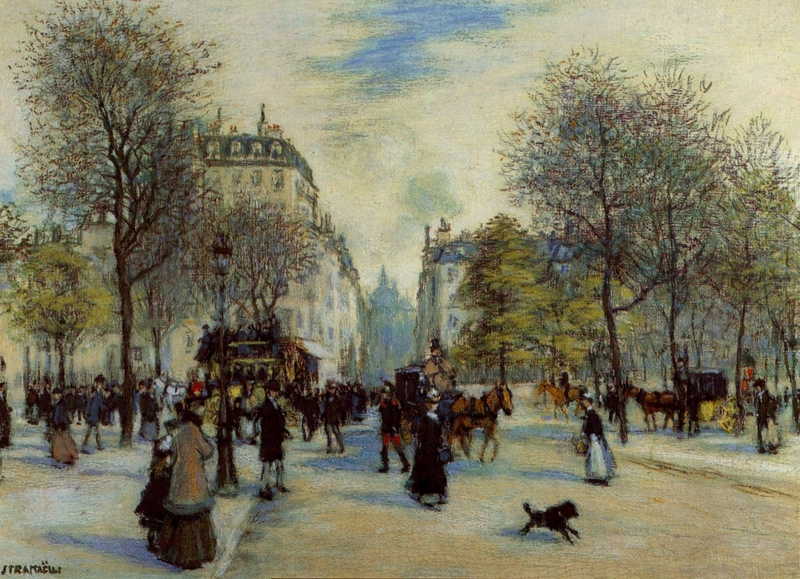 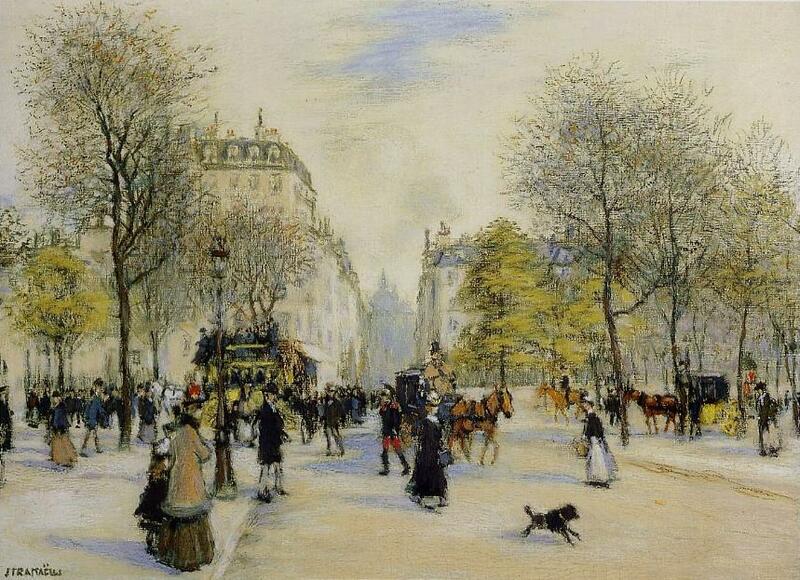 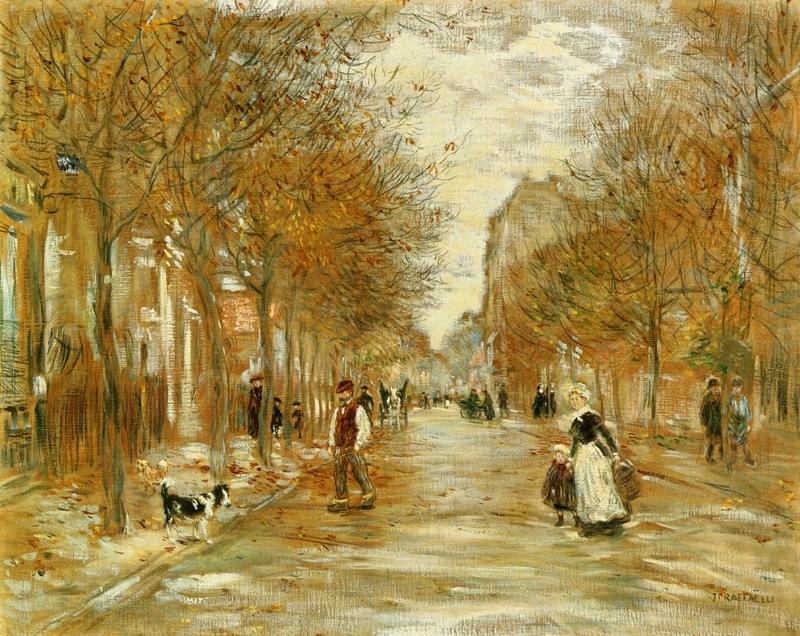 Jean-Francois Raffaëlli was born in Paris into a bourgeois family in which he enjoyed a privileged childhood until the age of fourteen when a reversal of his father's business fortunes forced him to seek employment. 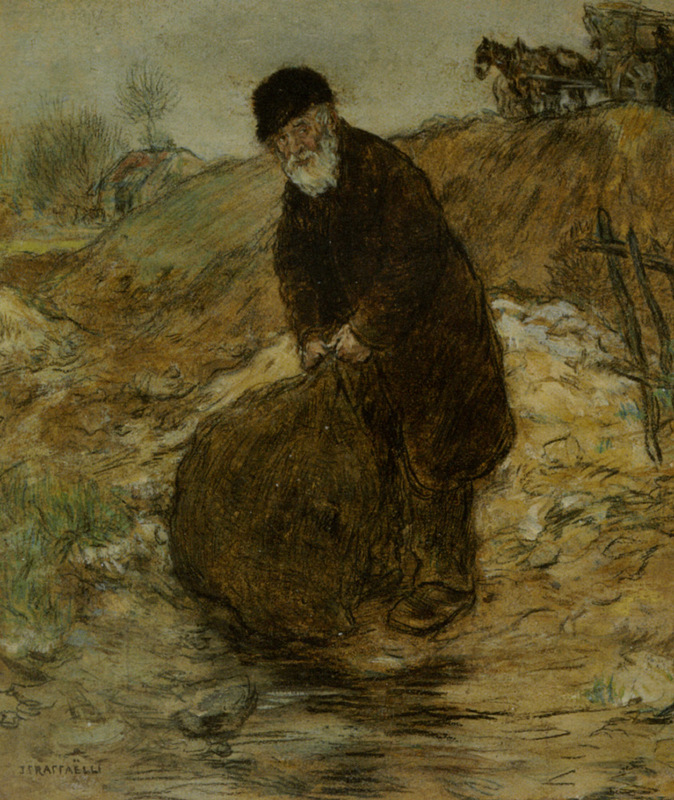 He held a series of jobs before being placed, unwillingly, in a commercial house as a book-keeper at the age of sixteen. 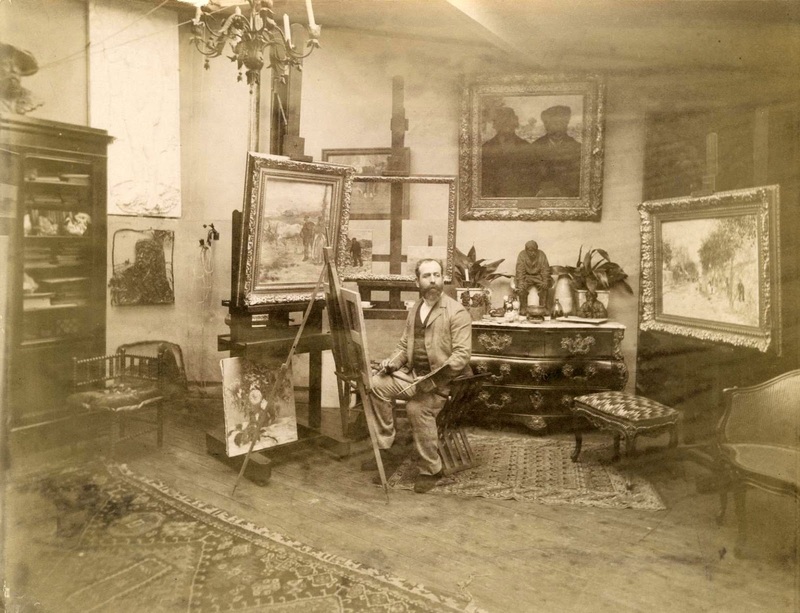 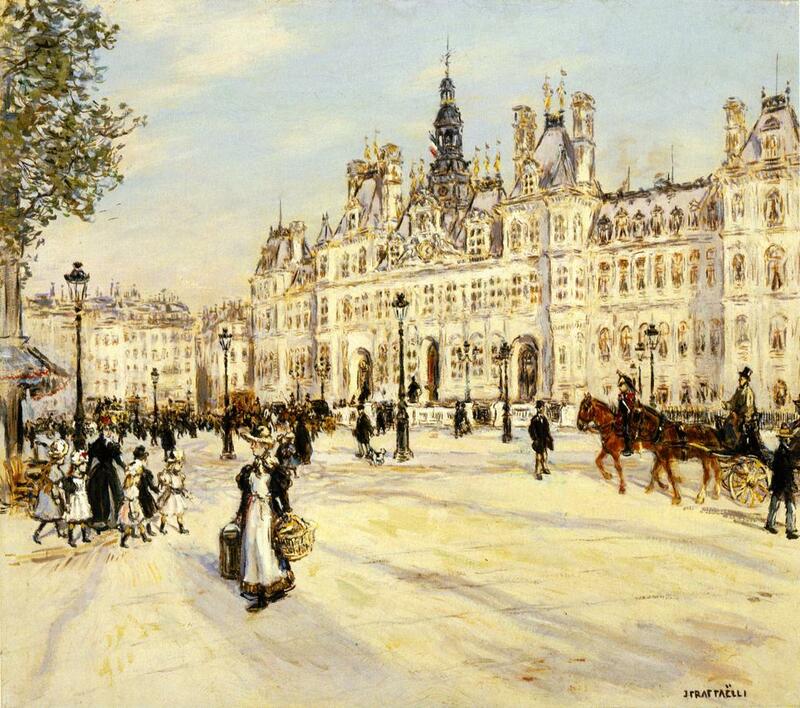 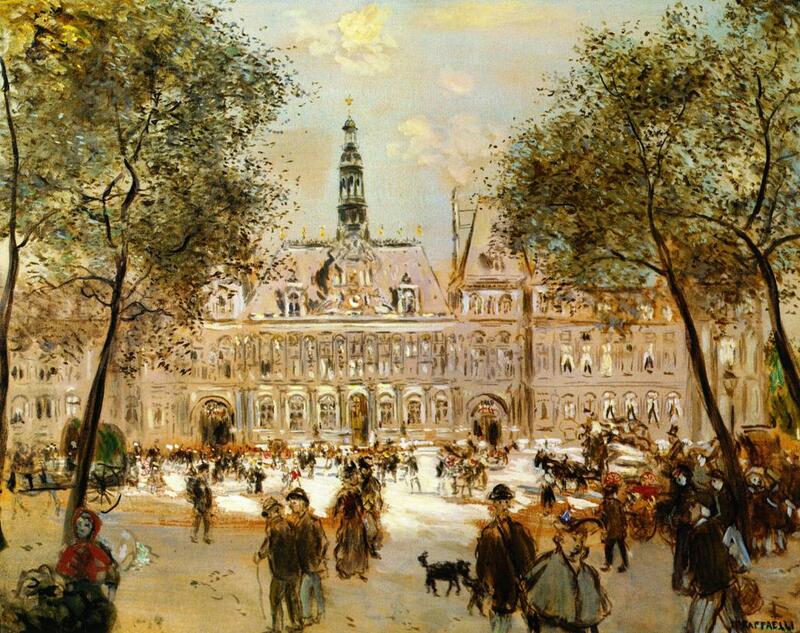 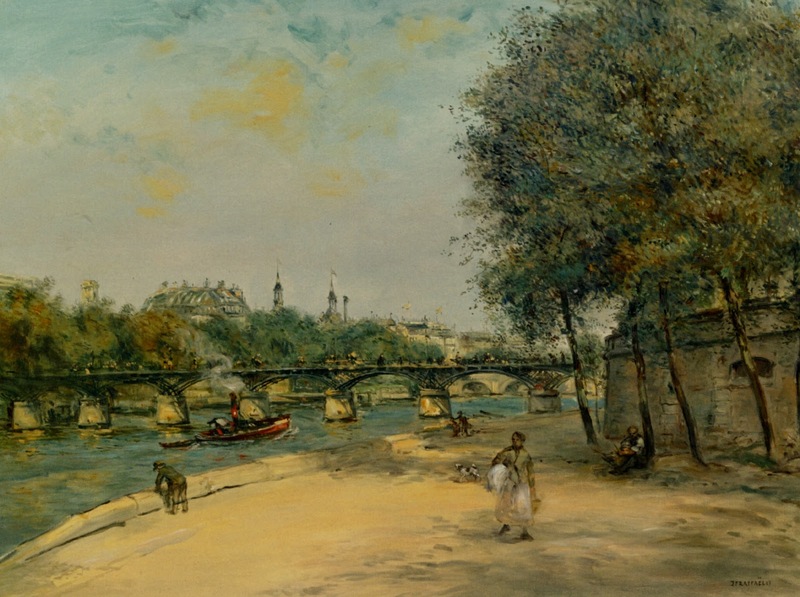 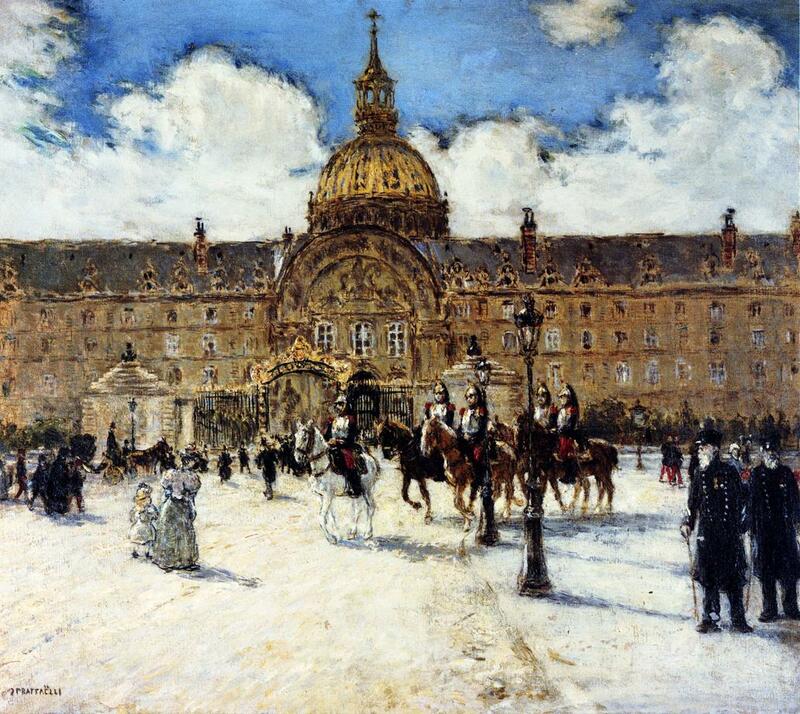 While working there, he began to visit the Louvre and to spend his Sundays in the Musée de Luxembourg. 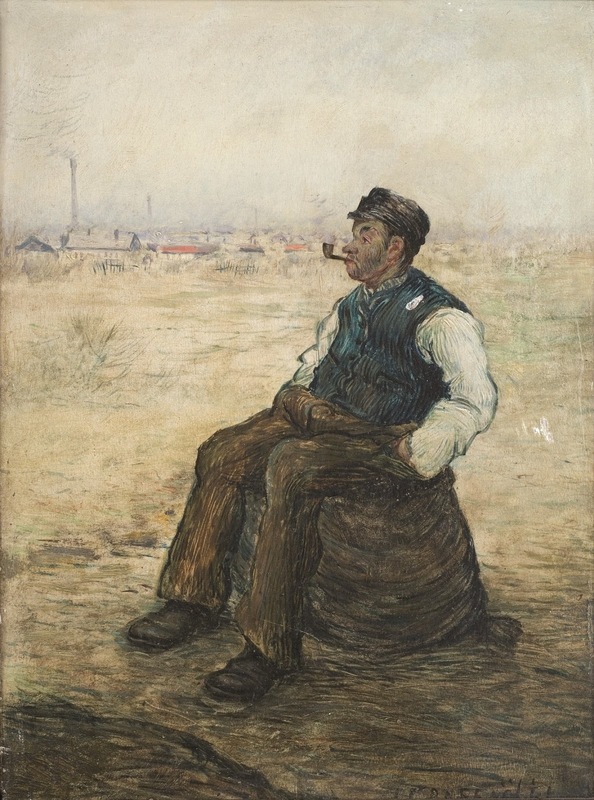 His initial artistic interest was in drawing and as he developed this passion, he gave up his job and supported himself by singing in theatres and churches. 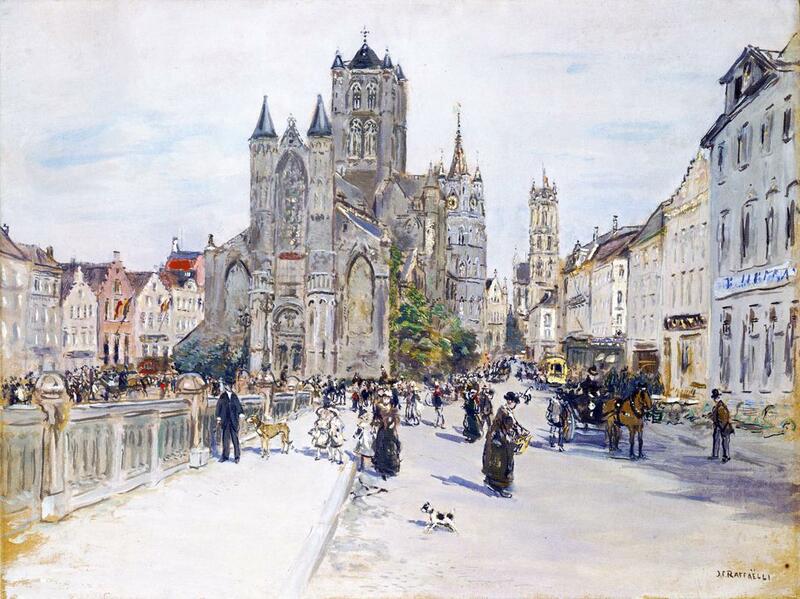 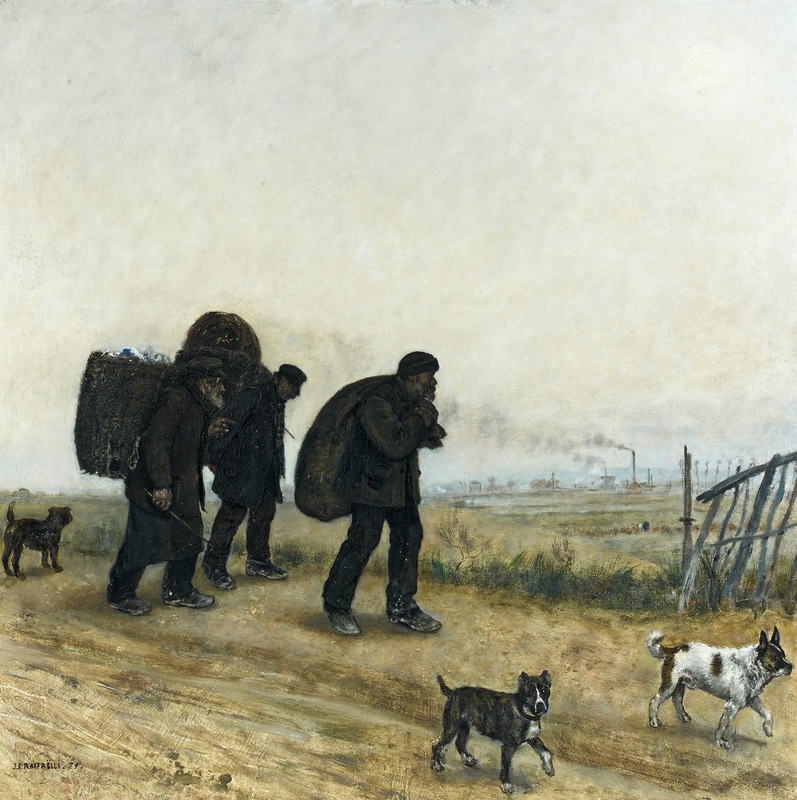 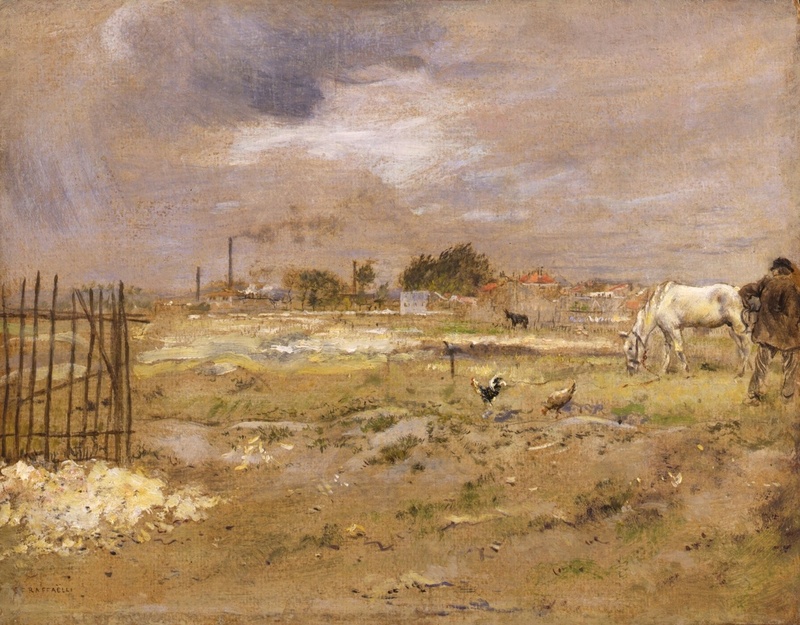 Although he had received no formal training, one of his landscapes was accepted by the Salon Jury in 1870. 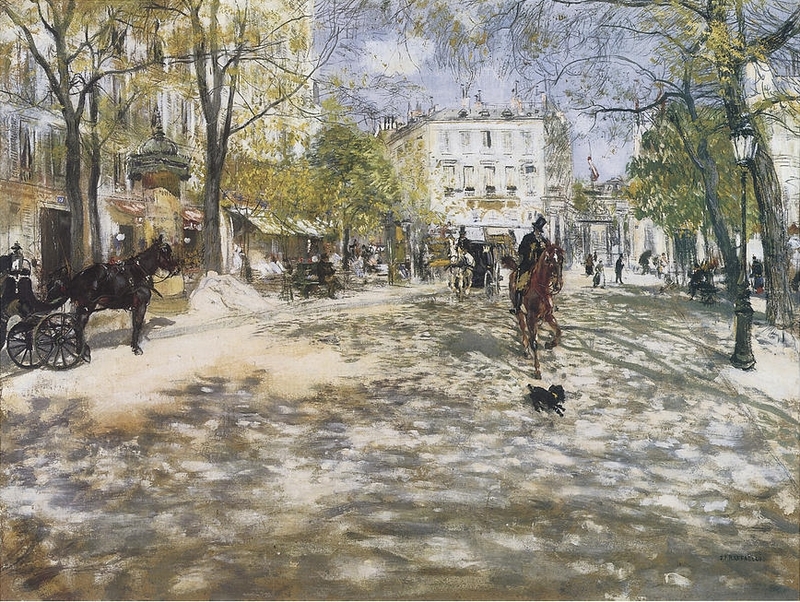 The following year he enrolled in the Ecole des Beaux Arts where he studied in the studio of Gérôme for three months. 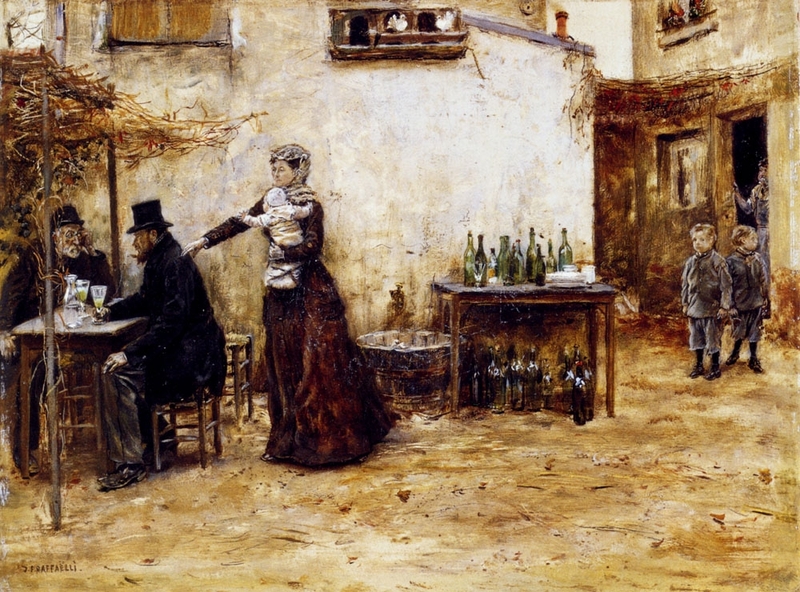 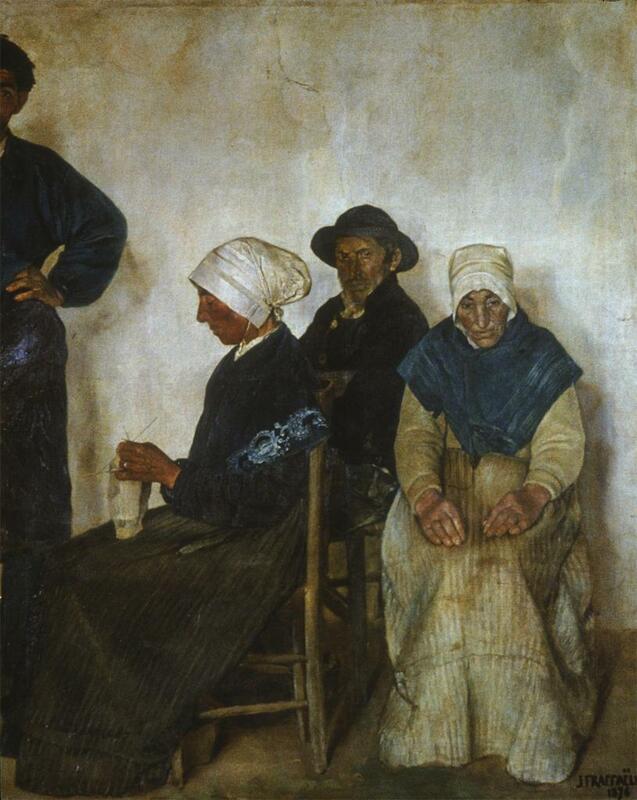 For the first period of his artistic development, Rafaëlli turned to Corot, Roybet, Gérôme and Fortuny, painting mainly landscapes and historical costume pieces but suddenly and without apparent warning, he produced a powerful portrait of a Breton peasant family in 1876 entitled La famille de Jean le Boiteaux. 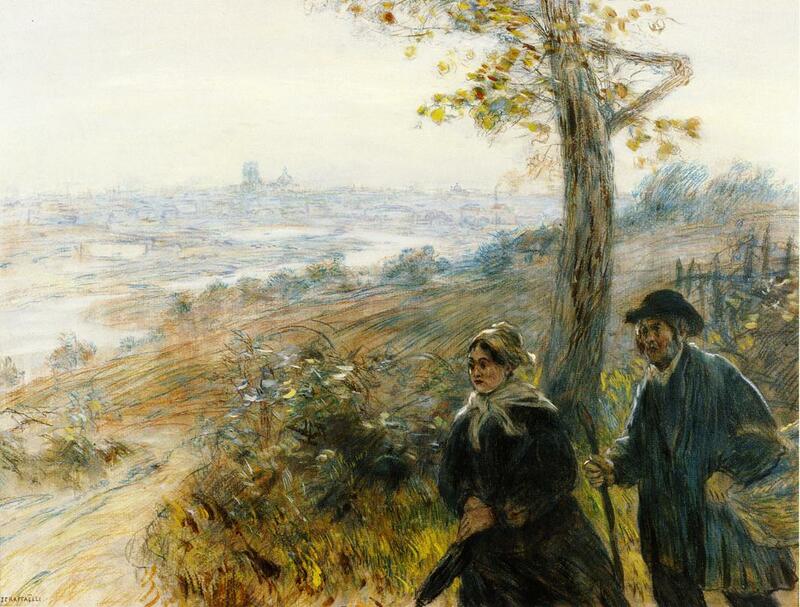 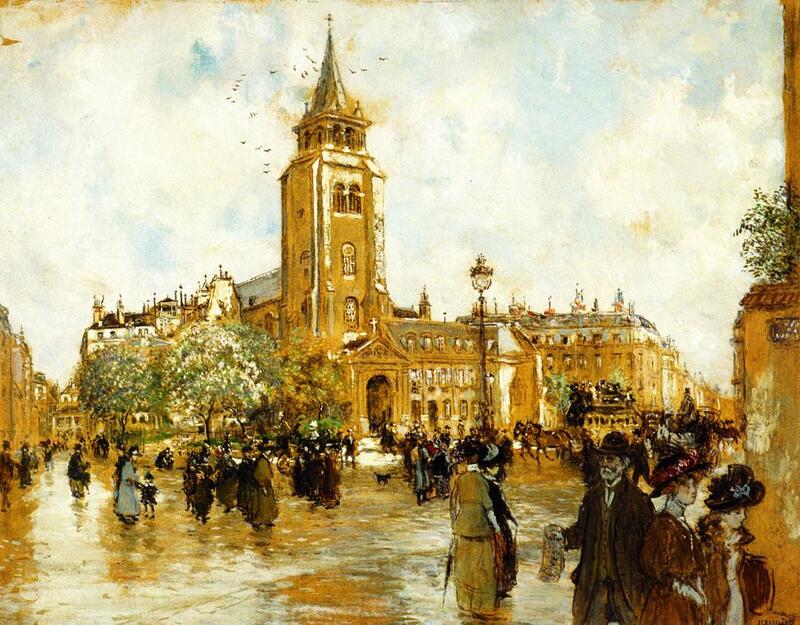 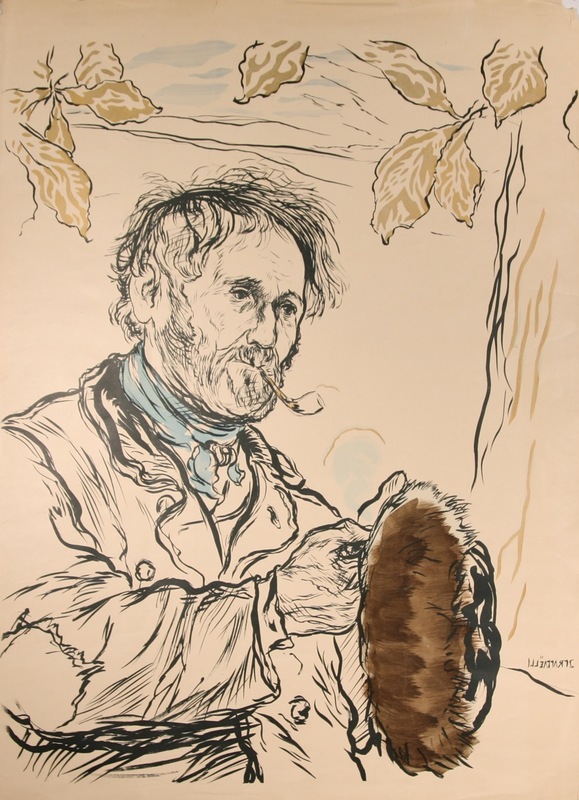 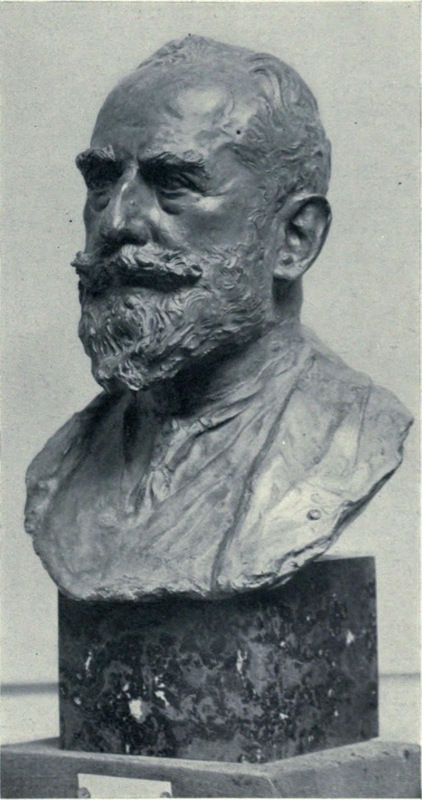 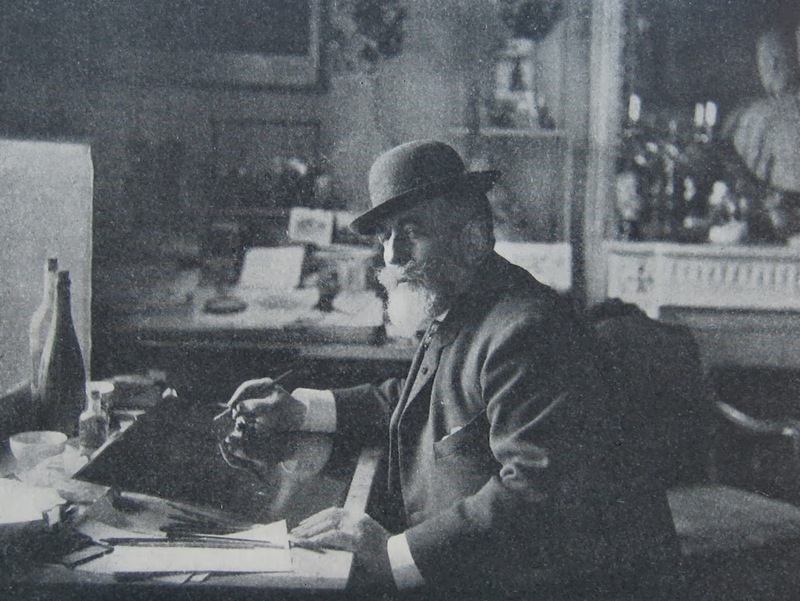 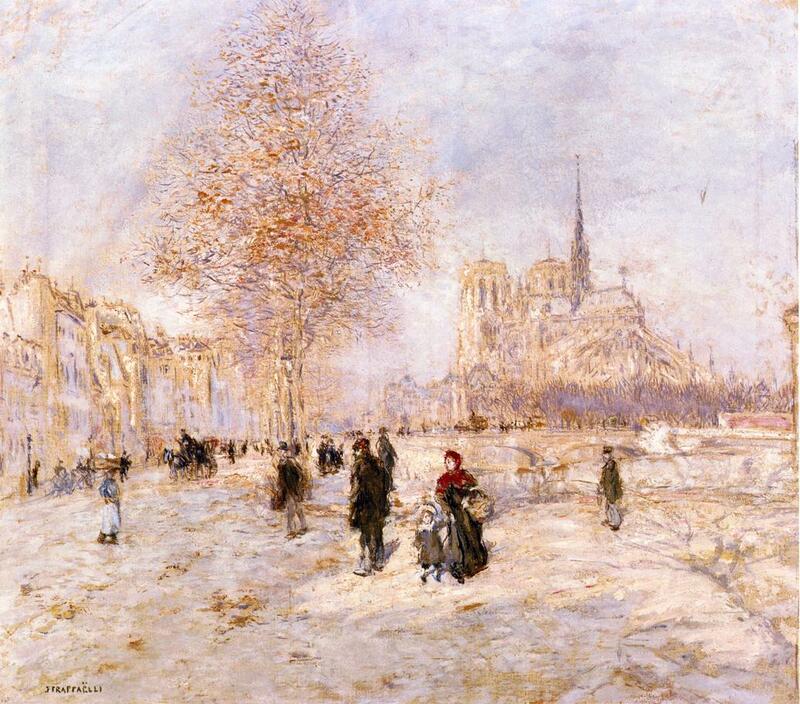 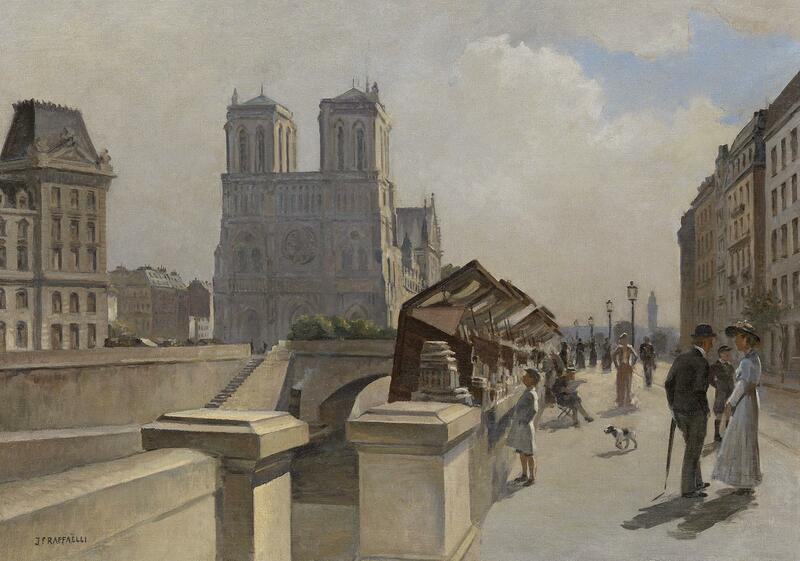 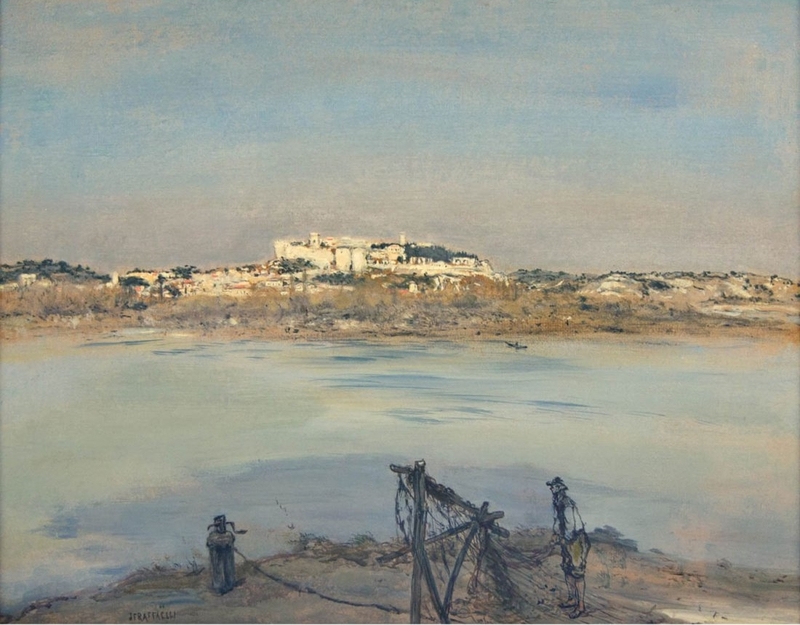 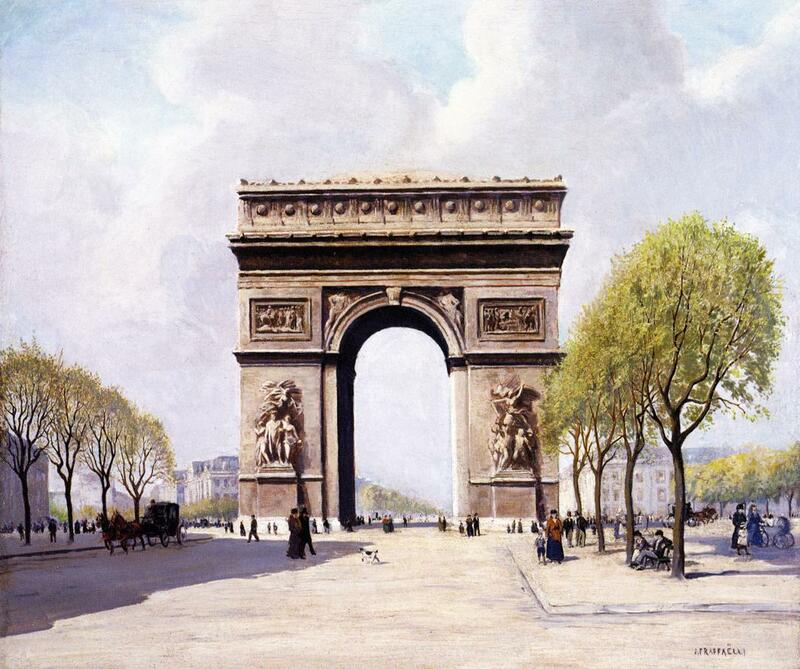 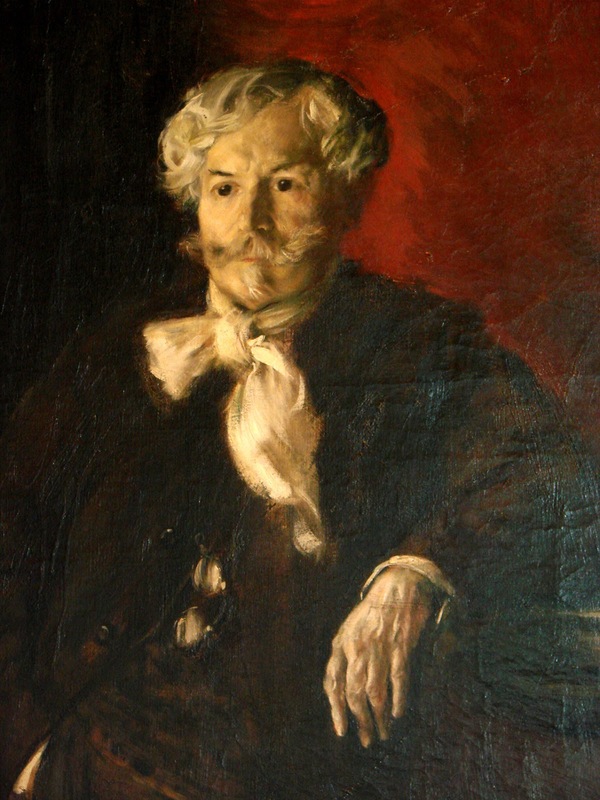 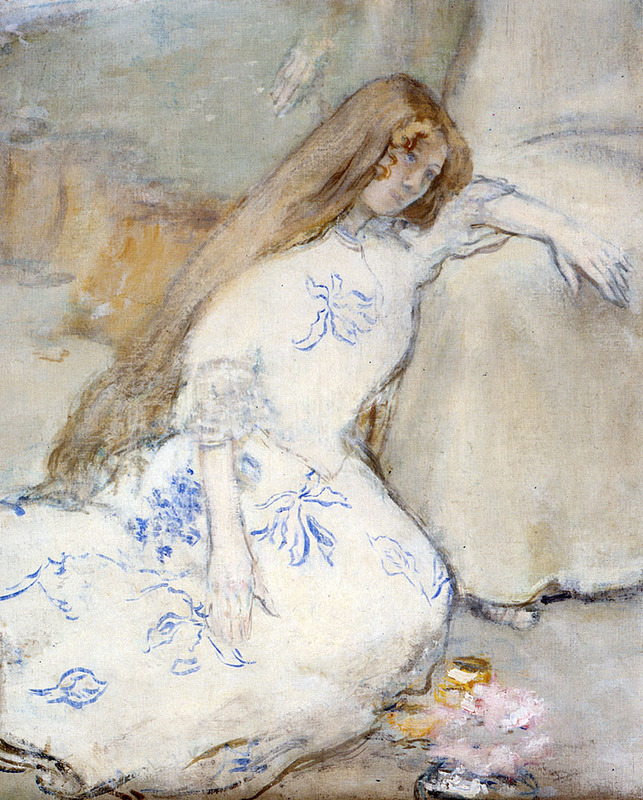 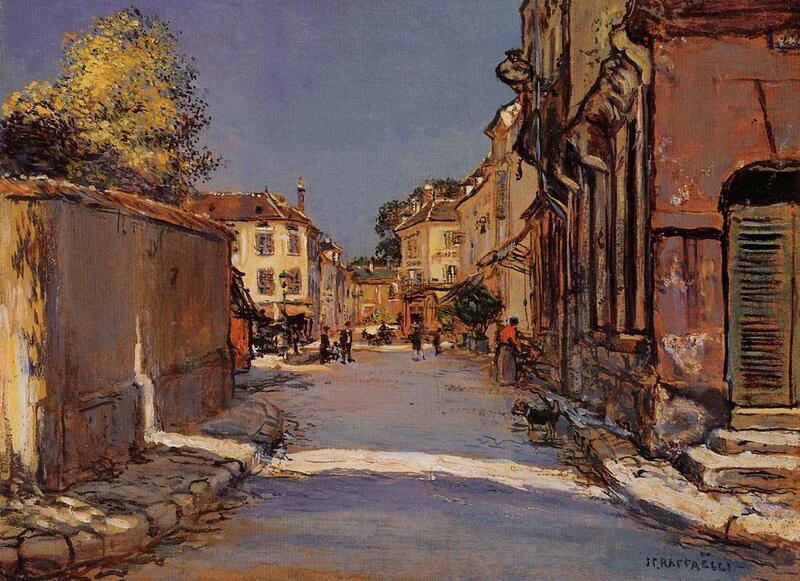 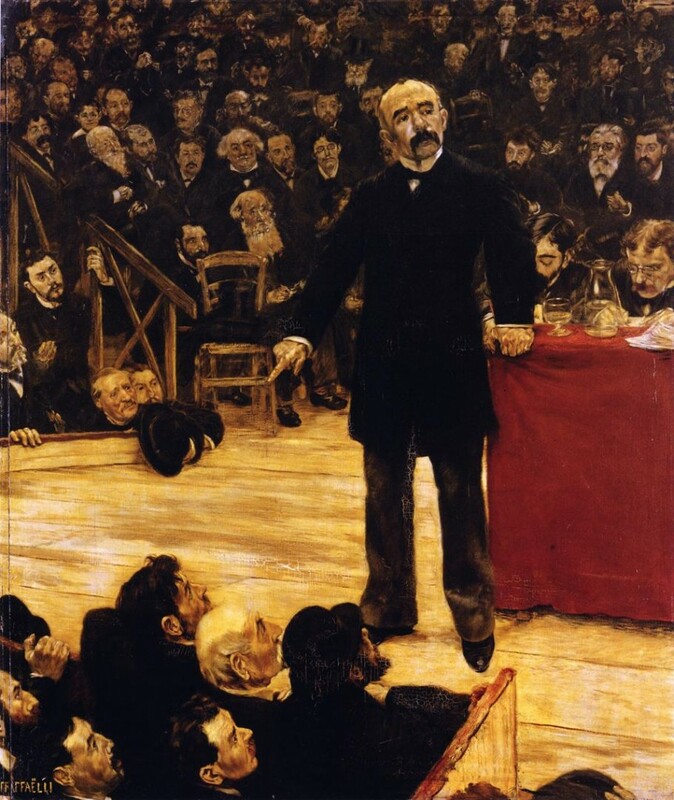 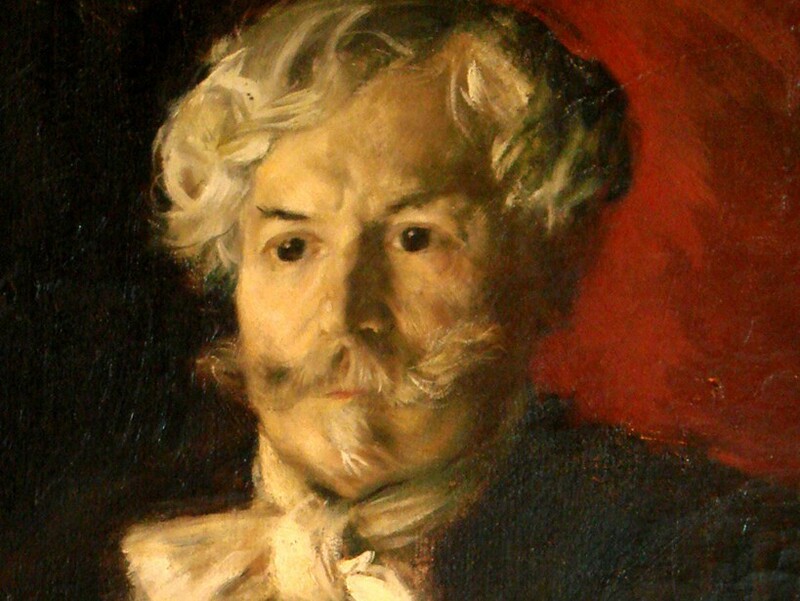 Jean-François Raffaelli (Parigi, 20 aprile 1850 – Parigi, 11 febbraio 1924) è stato un pittore Francese.